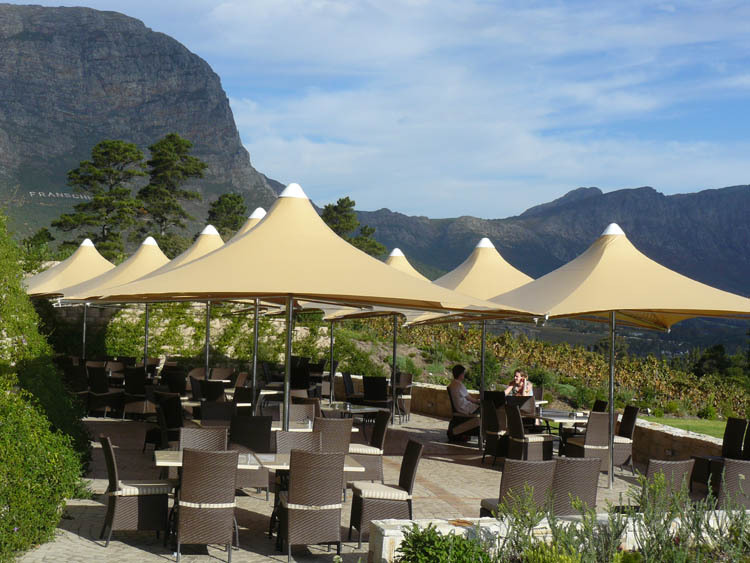 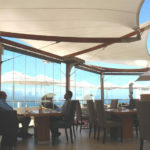 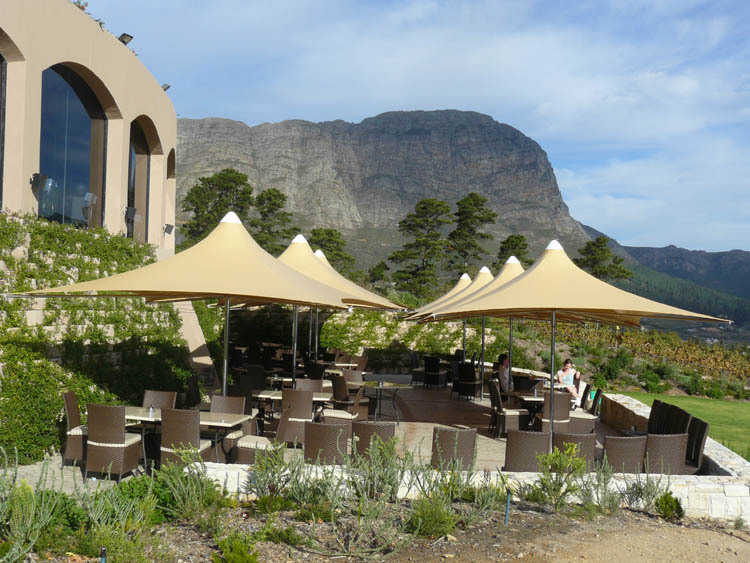 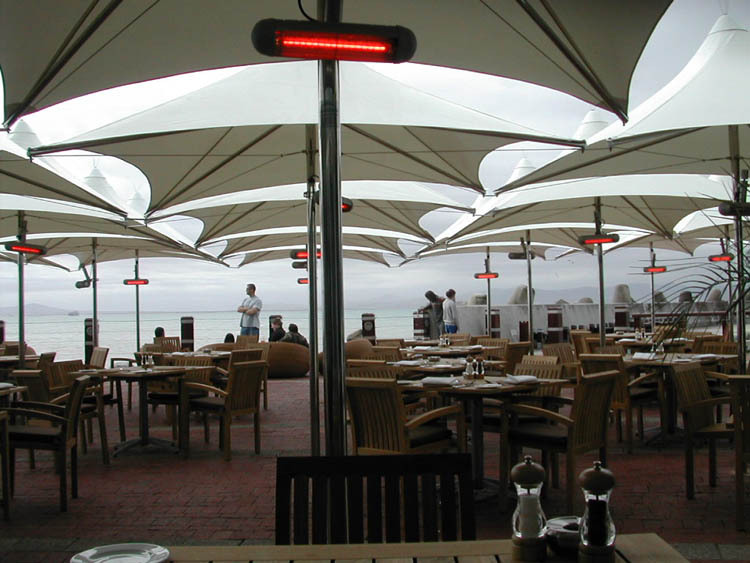 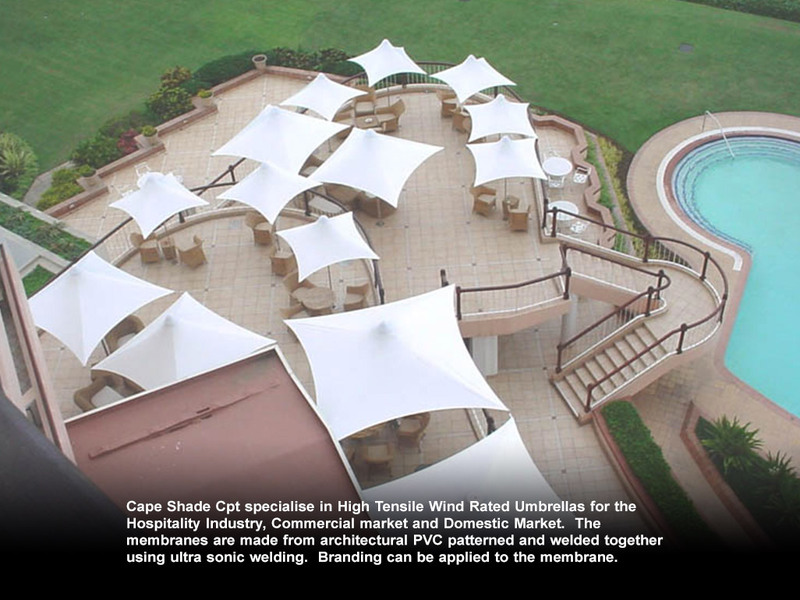 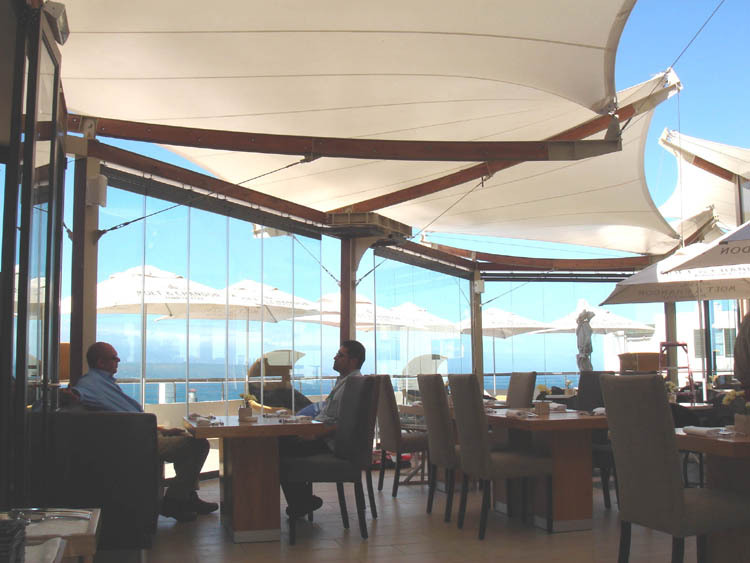 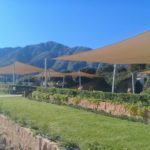 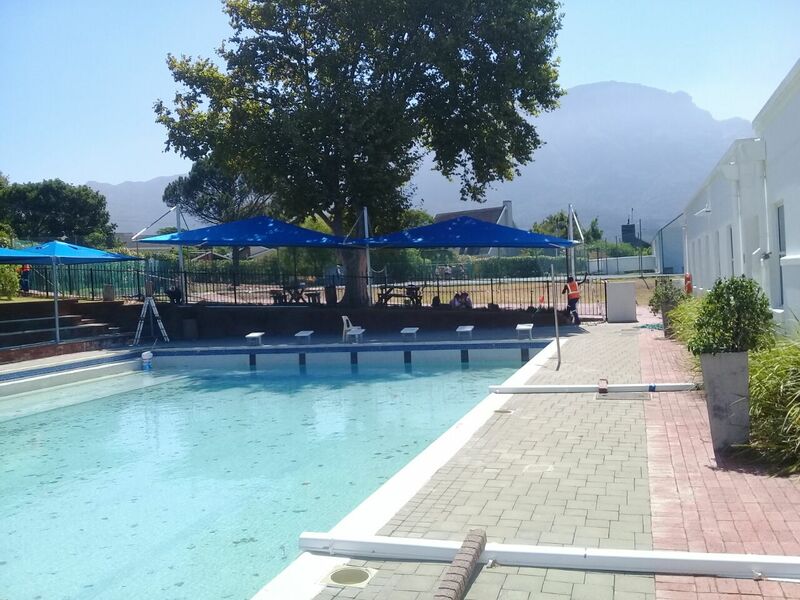 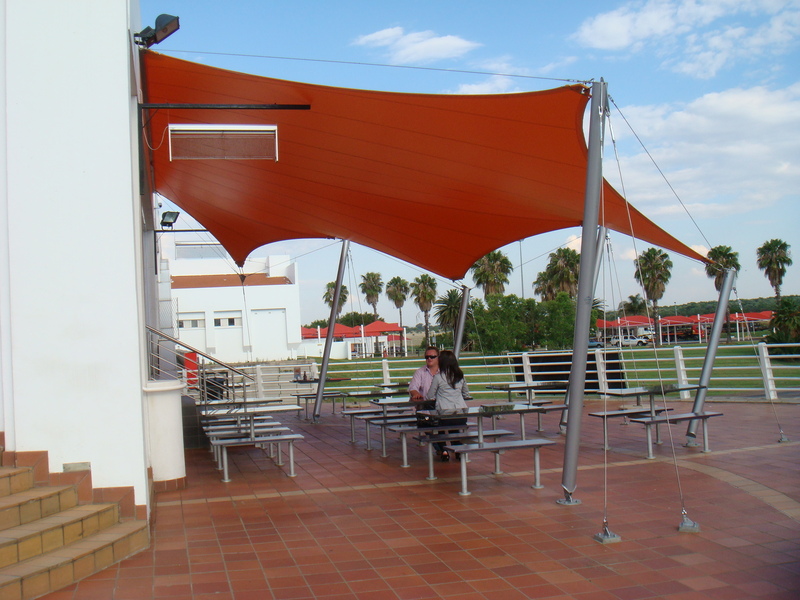 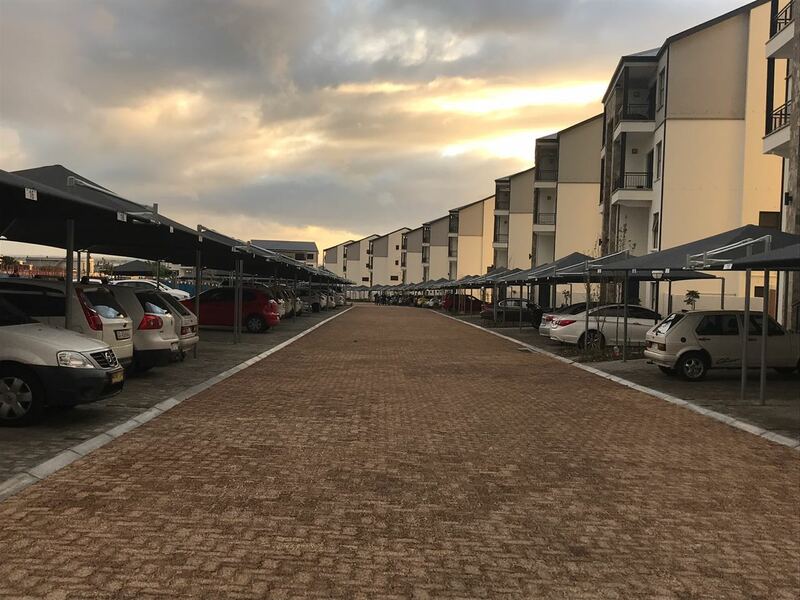 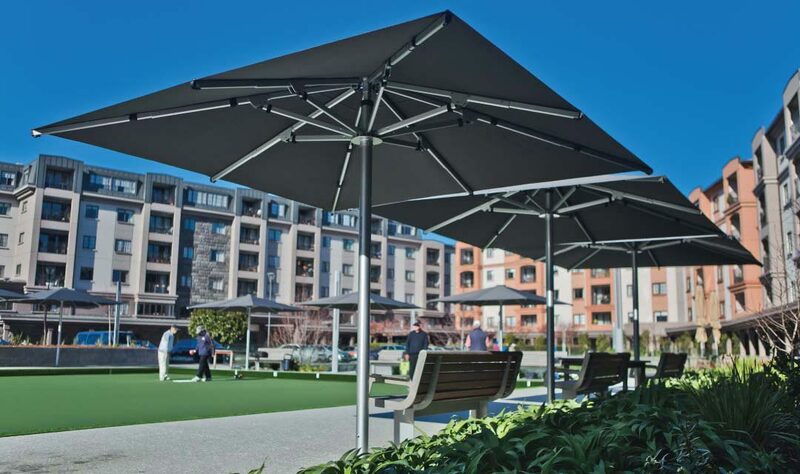 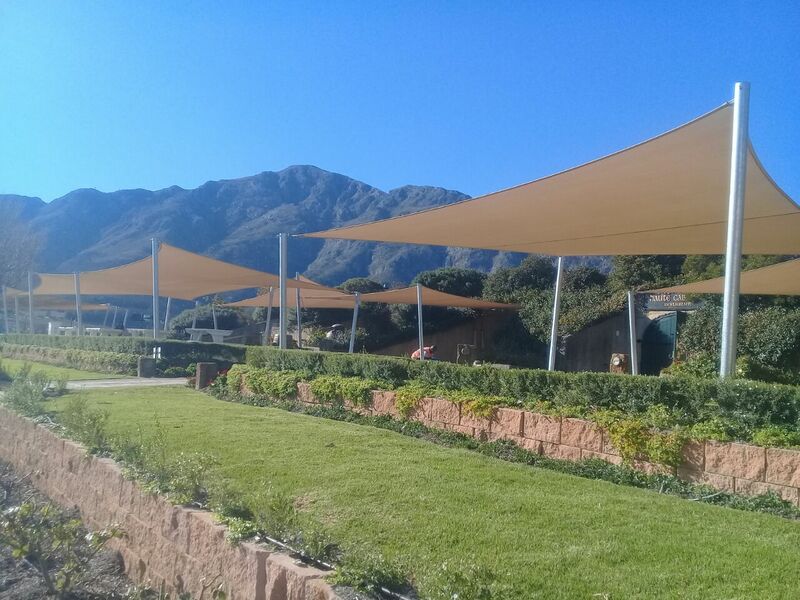 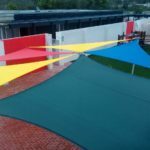 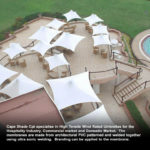 Cape Shade has developed a wide range of modular systems to best compliment your aesthetic and functional requirements. 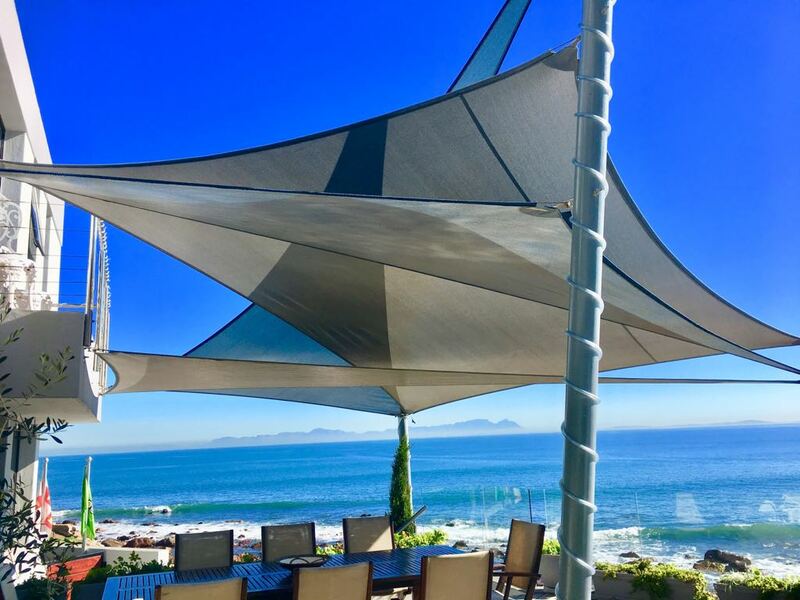 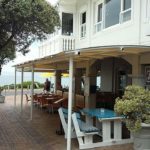 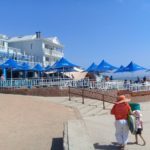 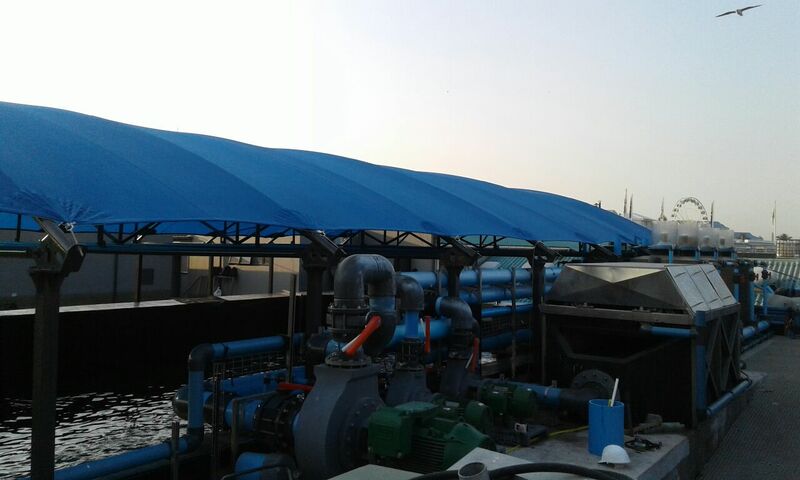 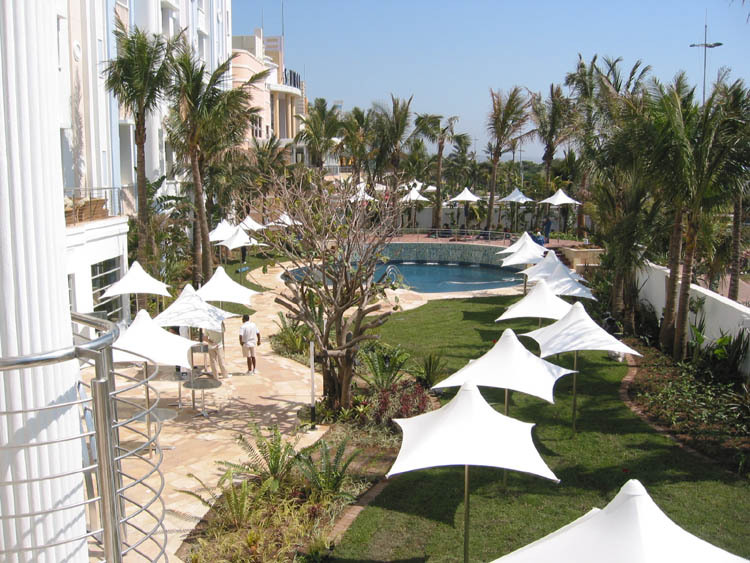 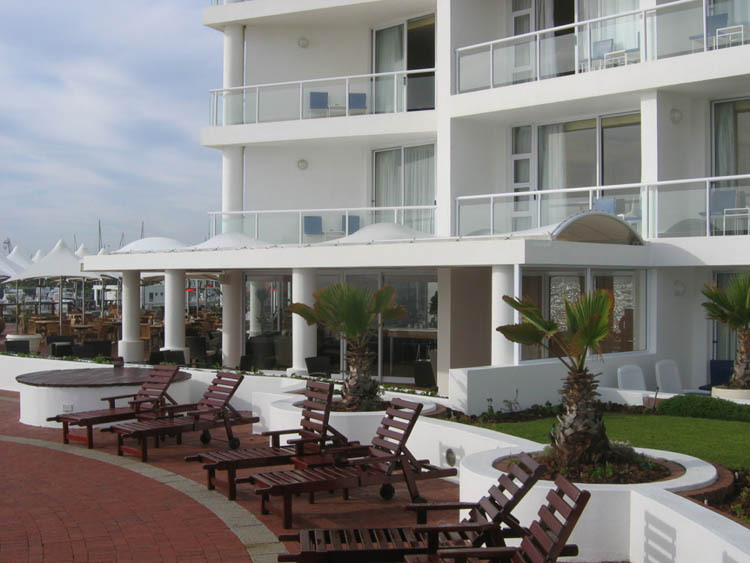 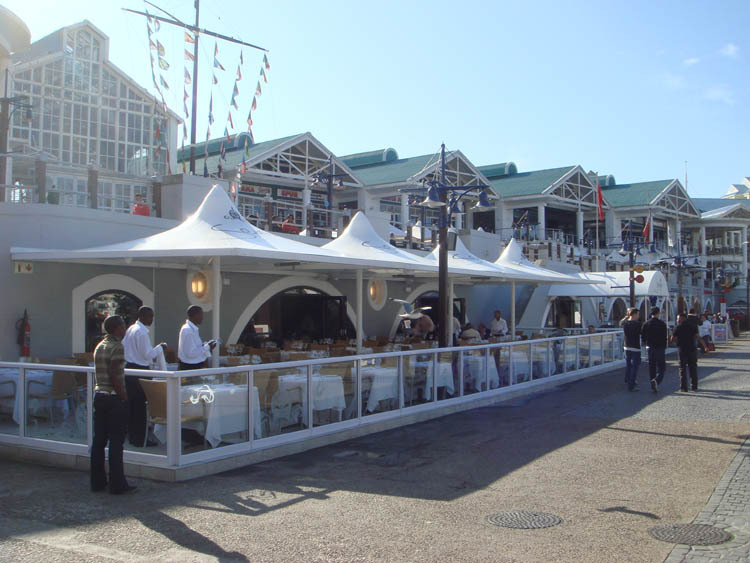 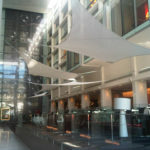 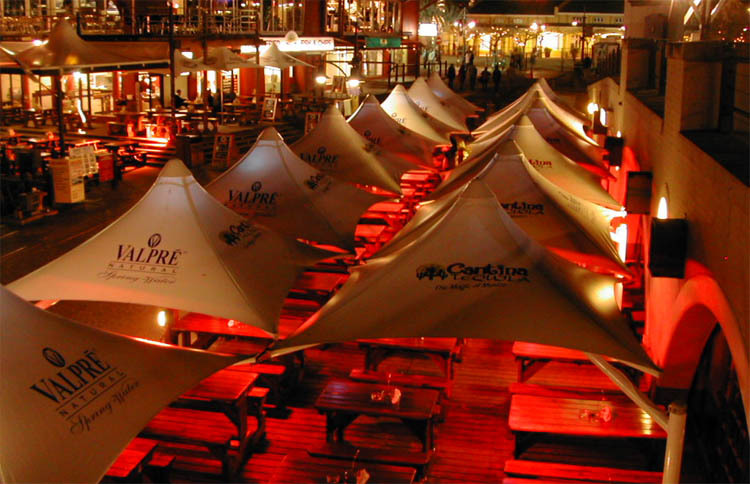 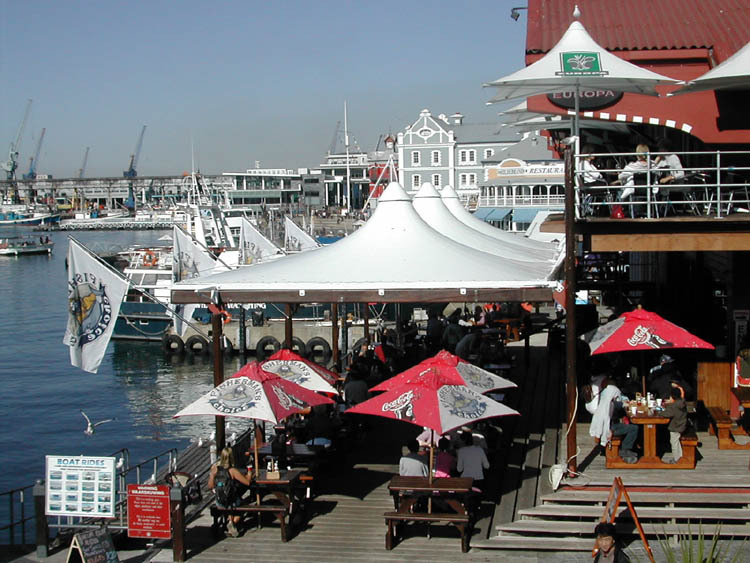 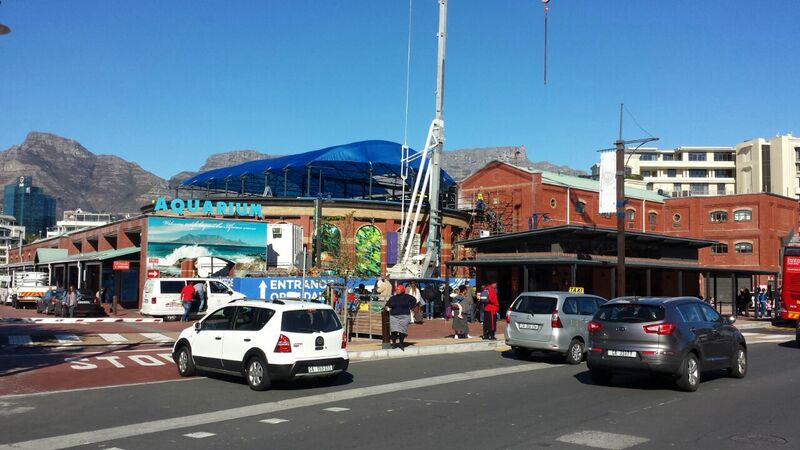 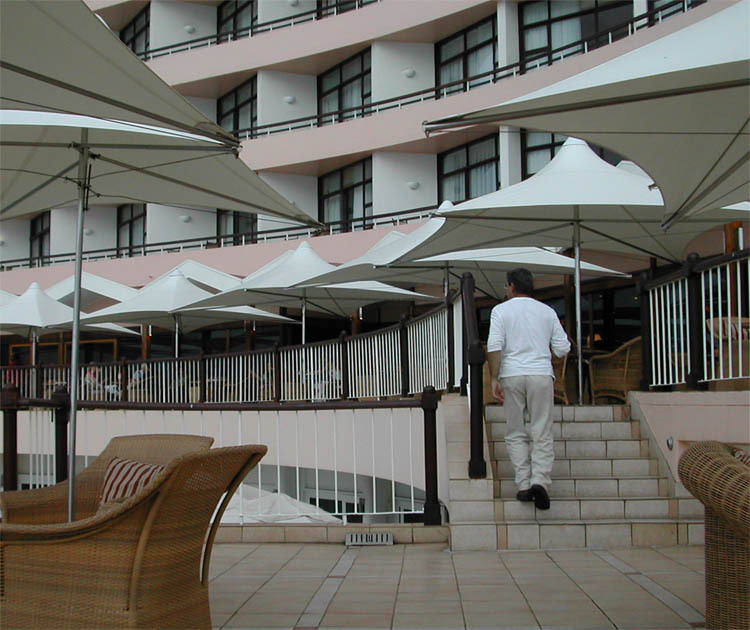 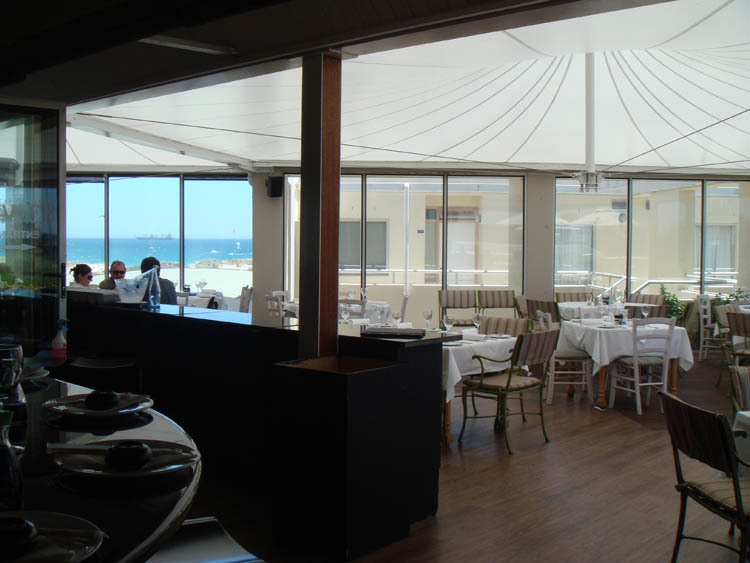 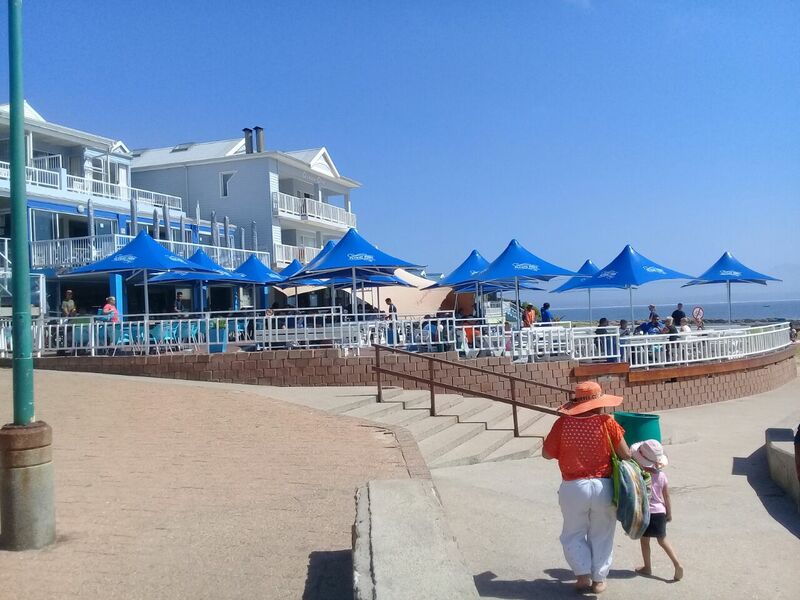 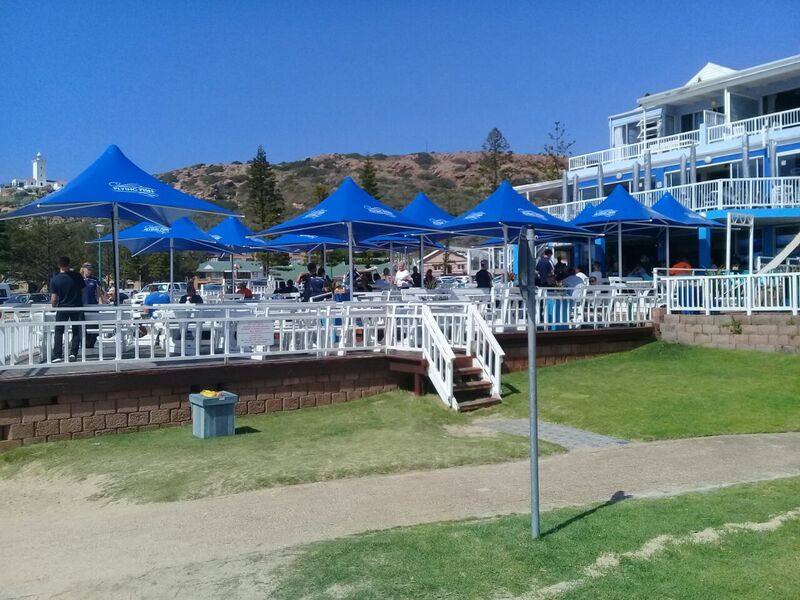 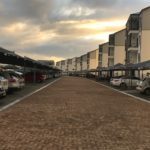 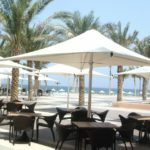 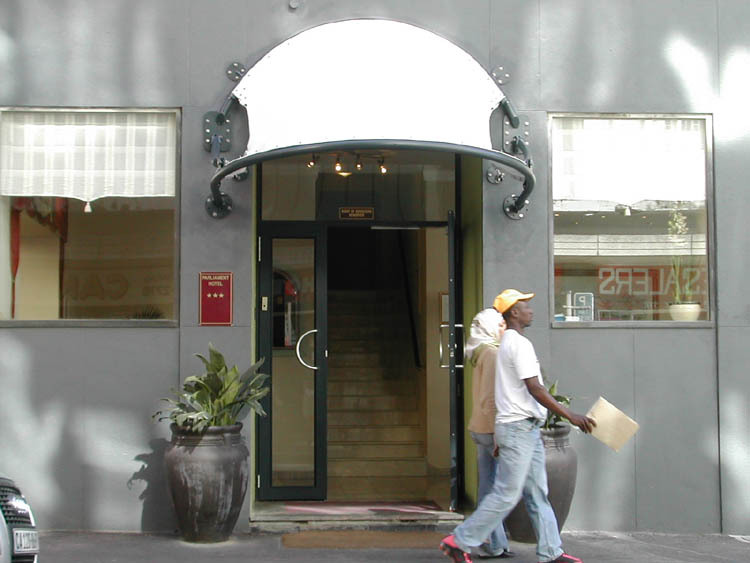 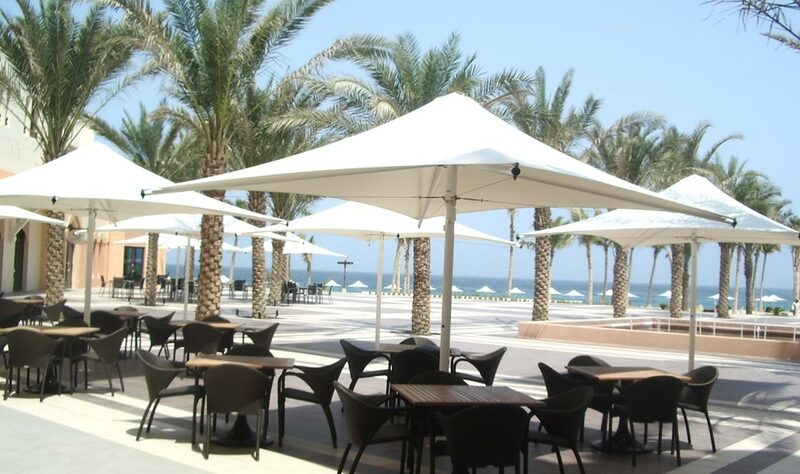 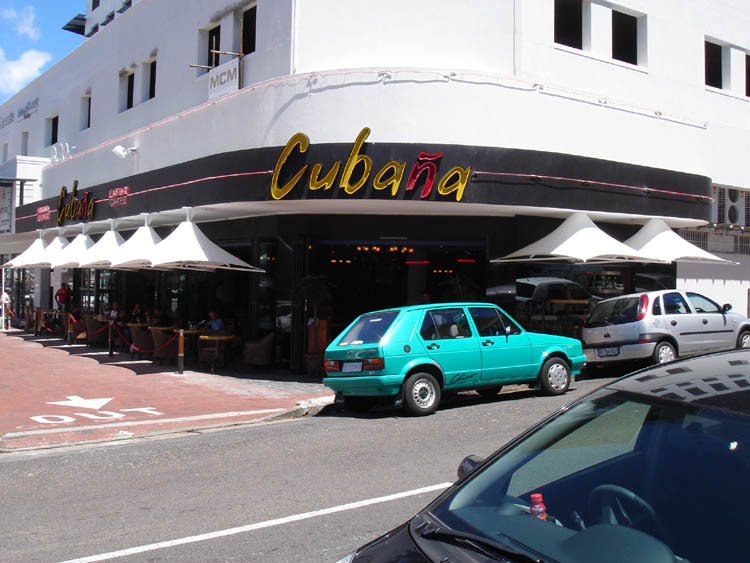 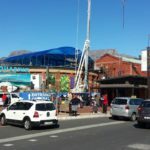 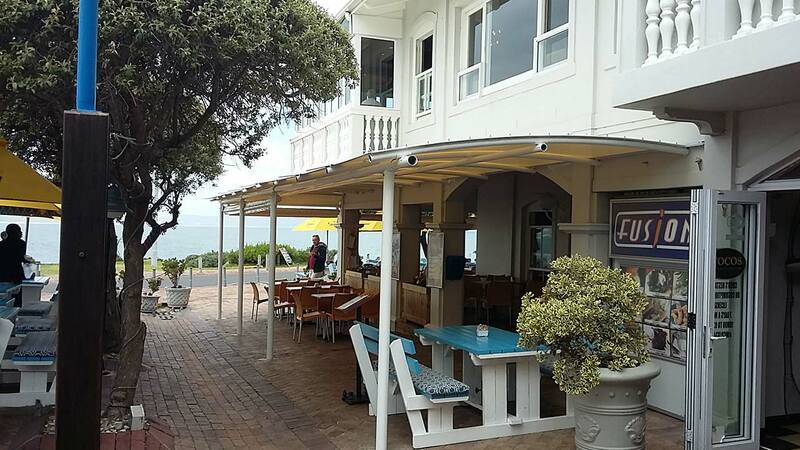 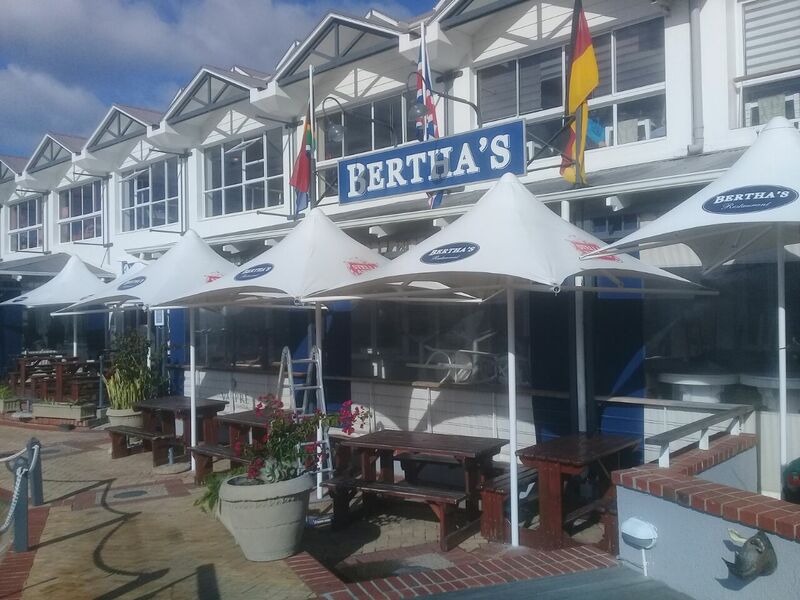 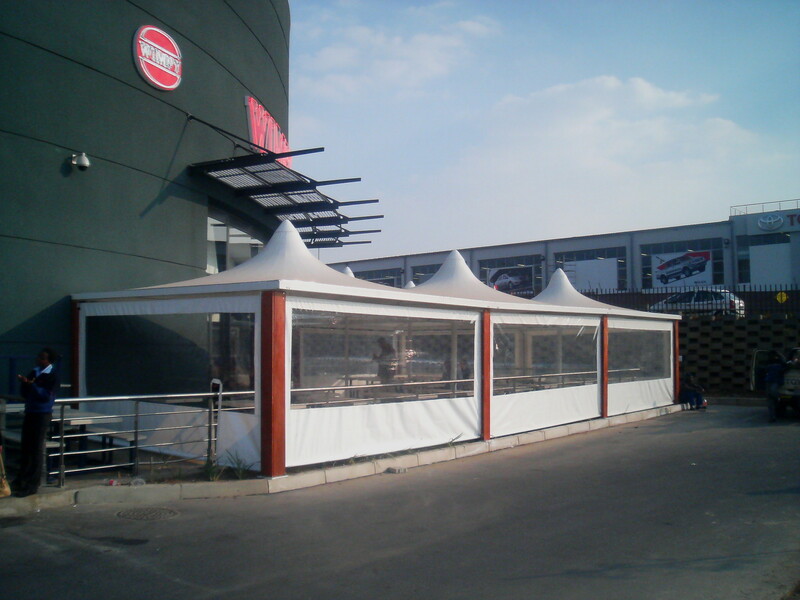 We specialize in providing structures for the Hospitality Industry, Commercial market and Domestic Market. 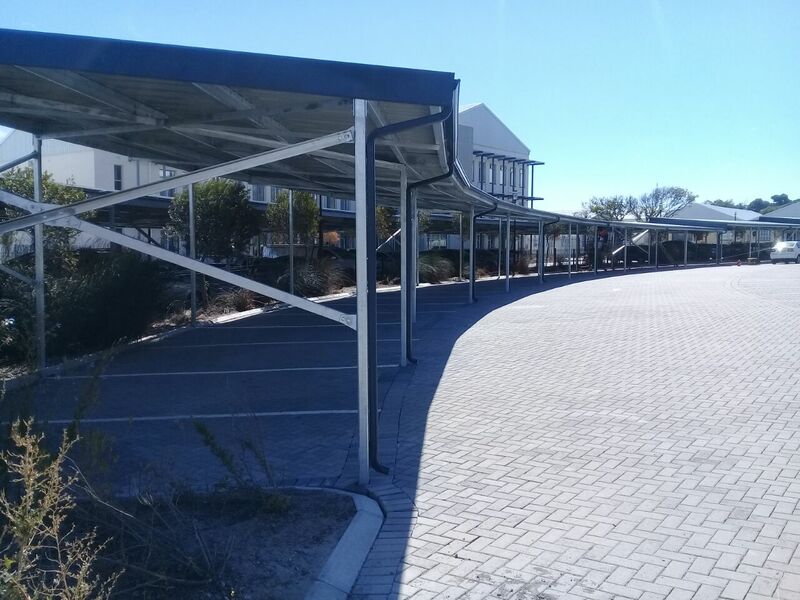 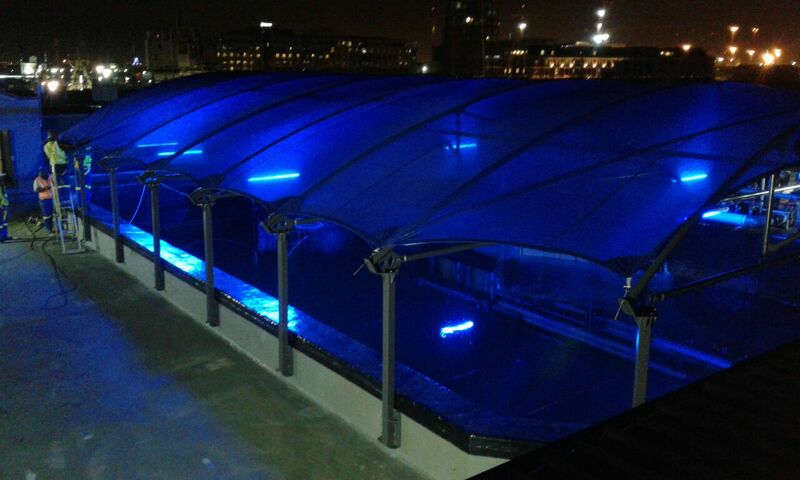 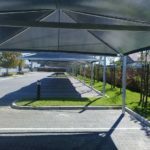 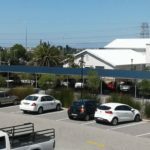 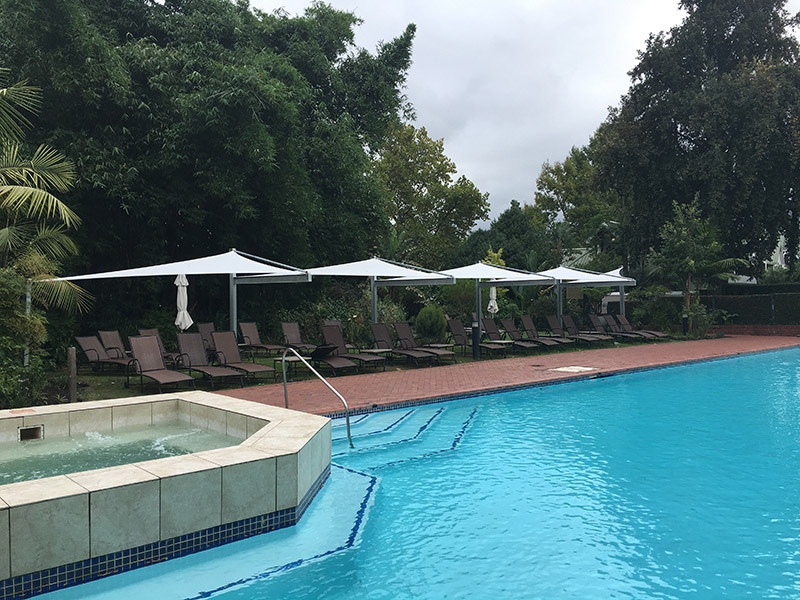 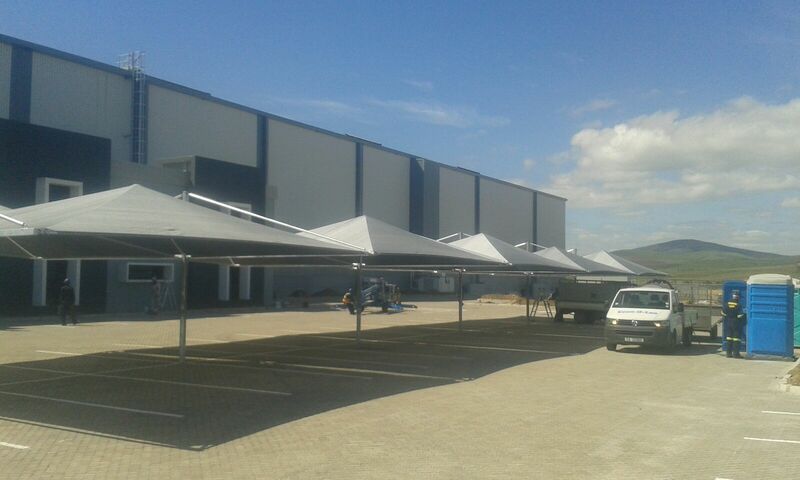 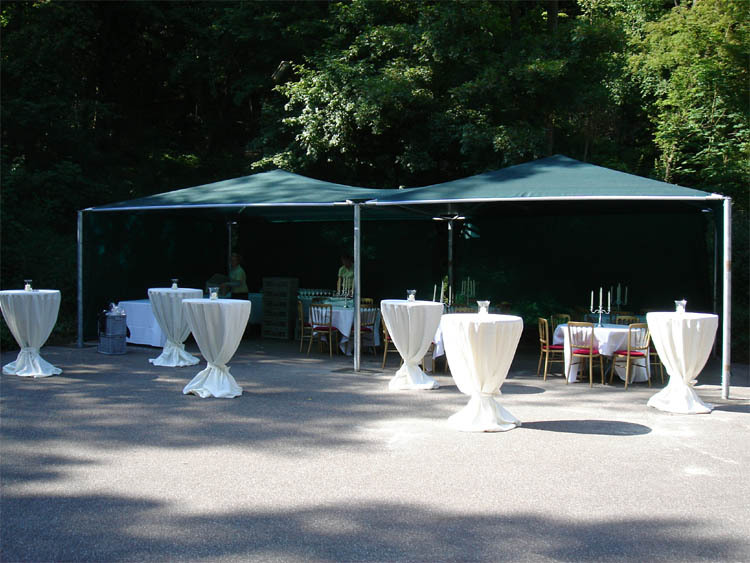 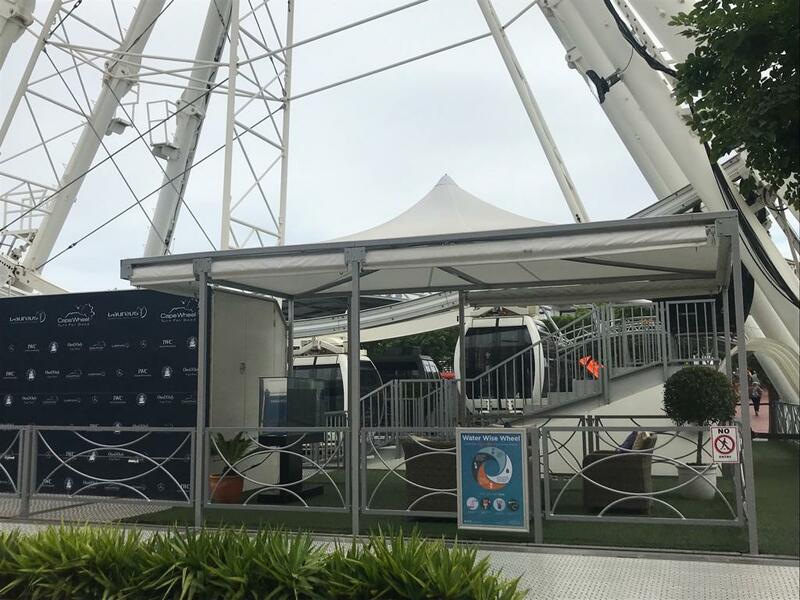 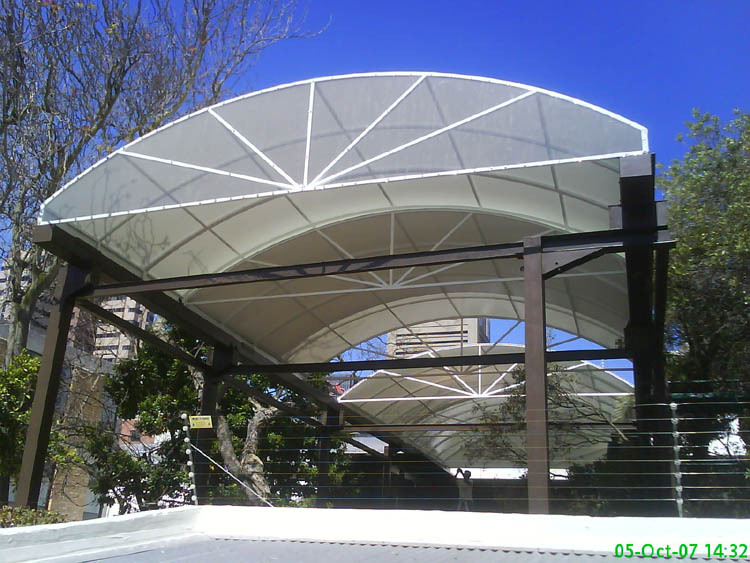 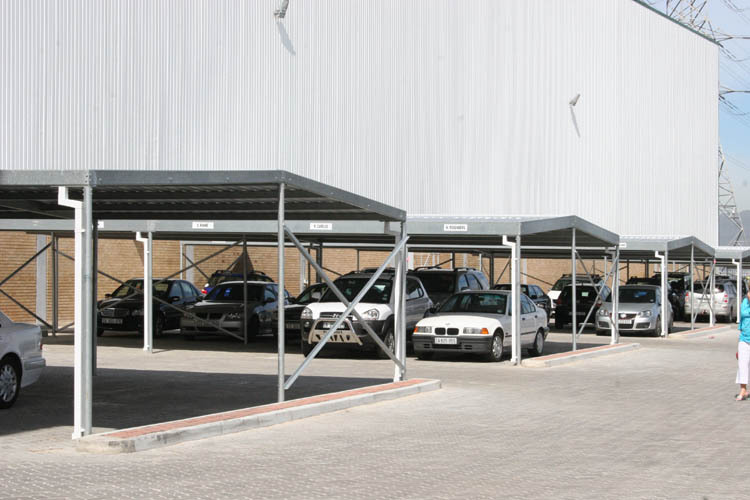 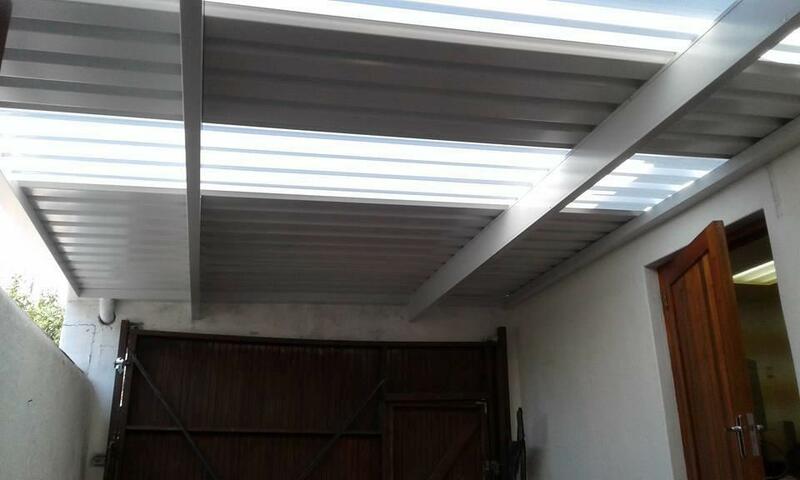 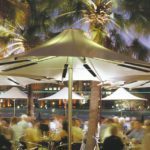 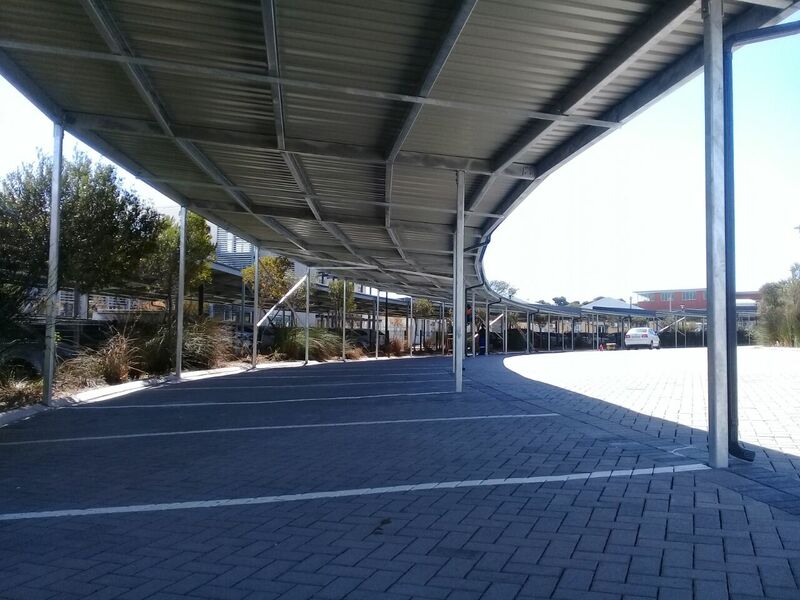 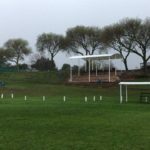 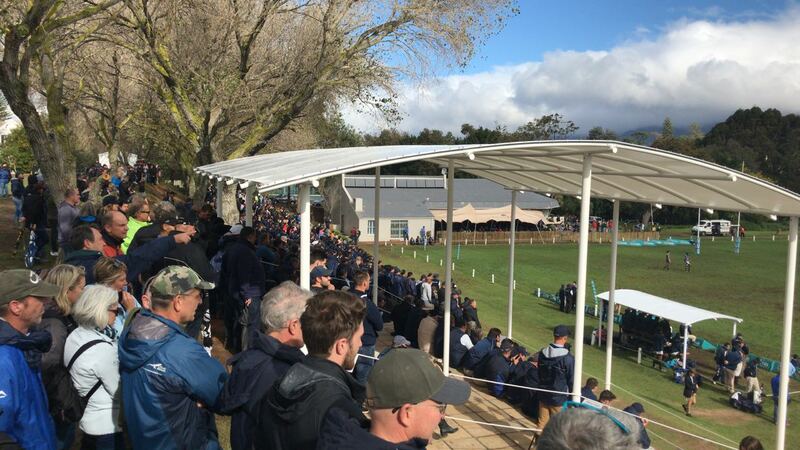 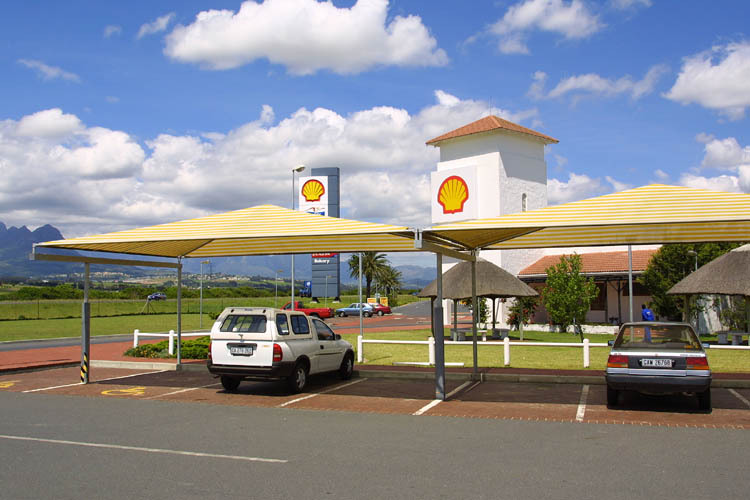 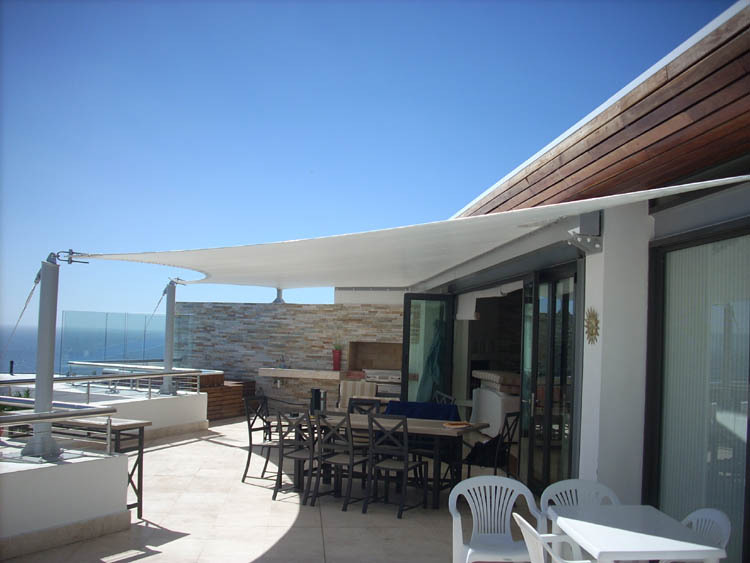 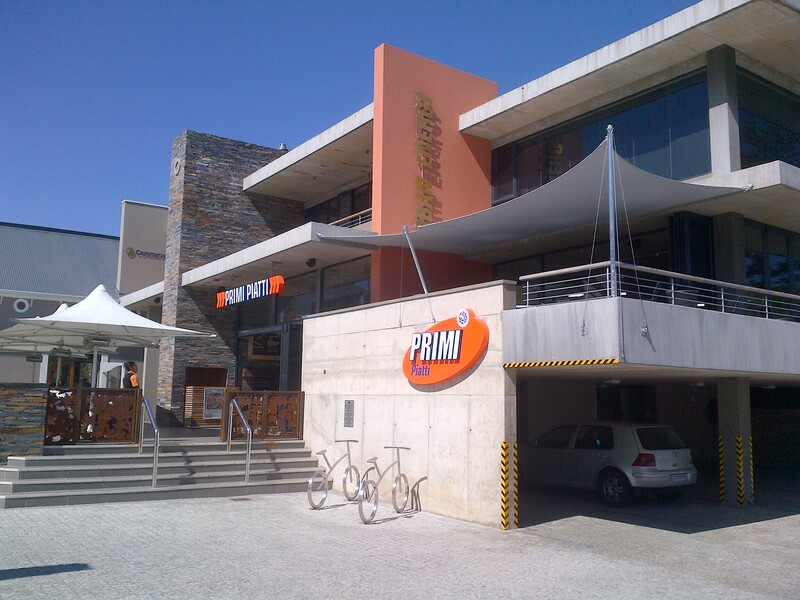 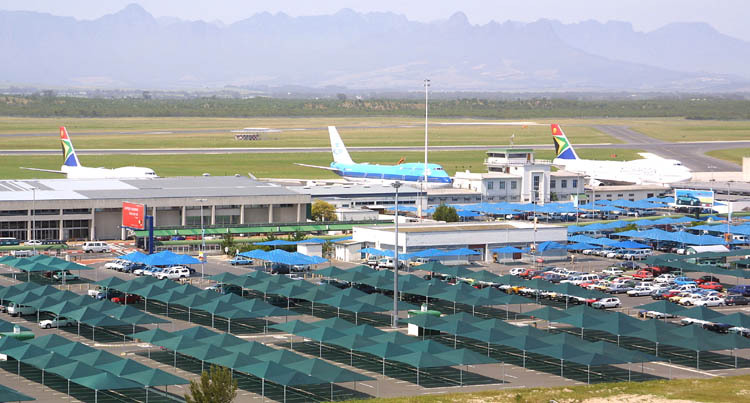 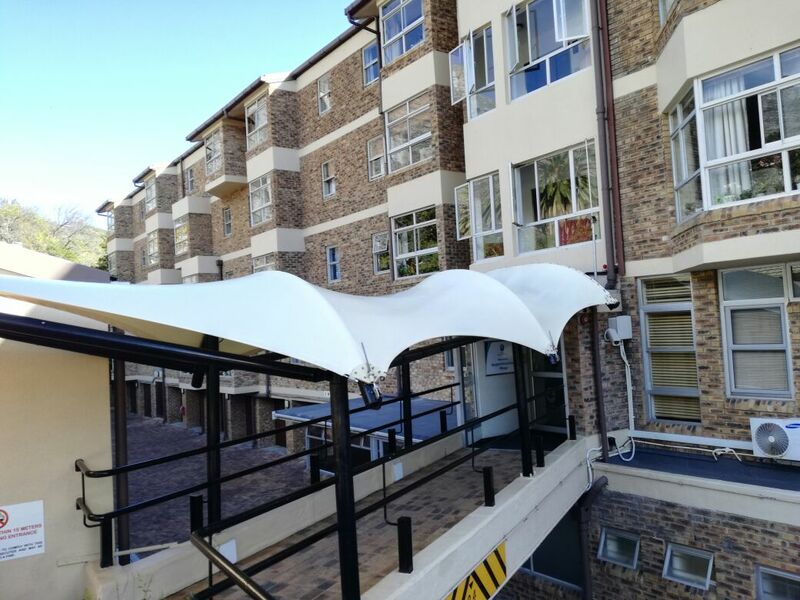 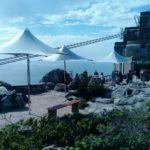 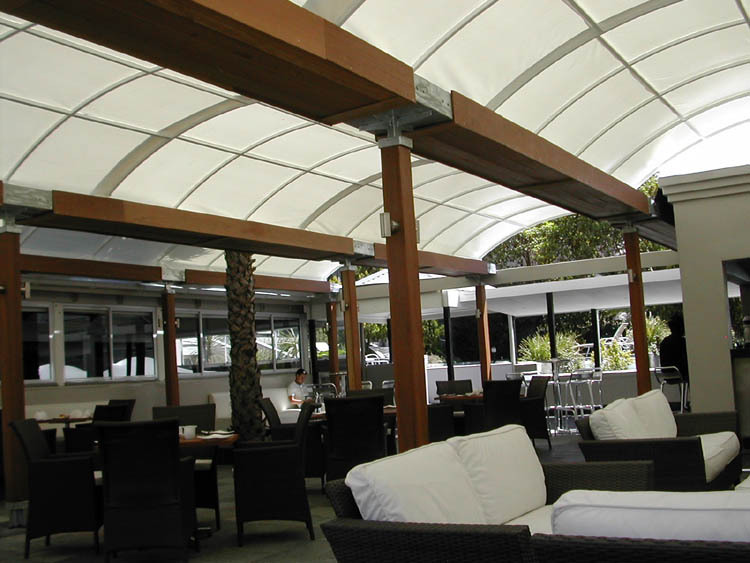 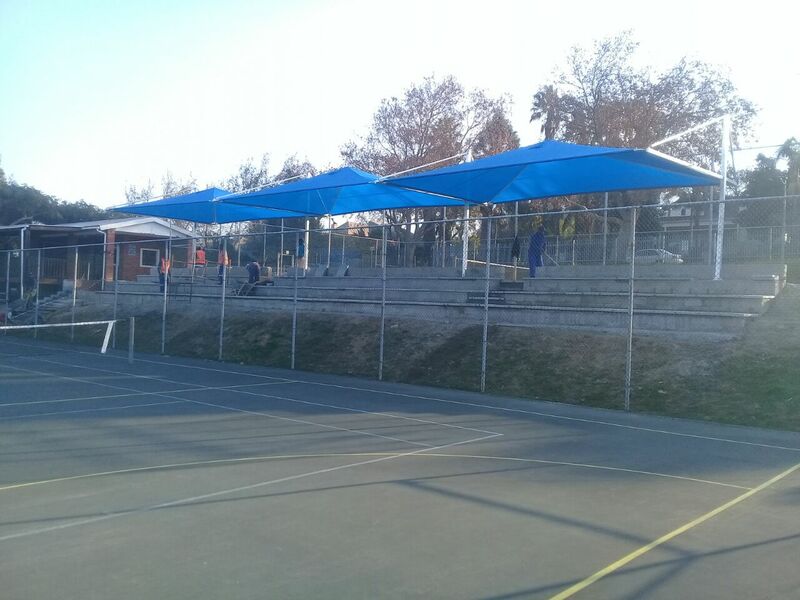 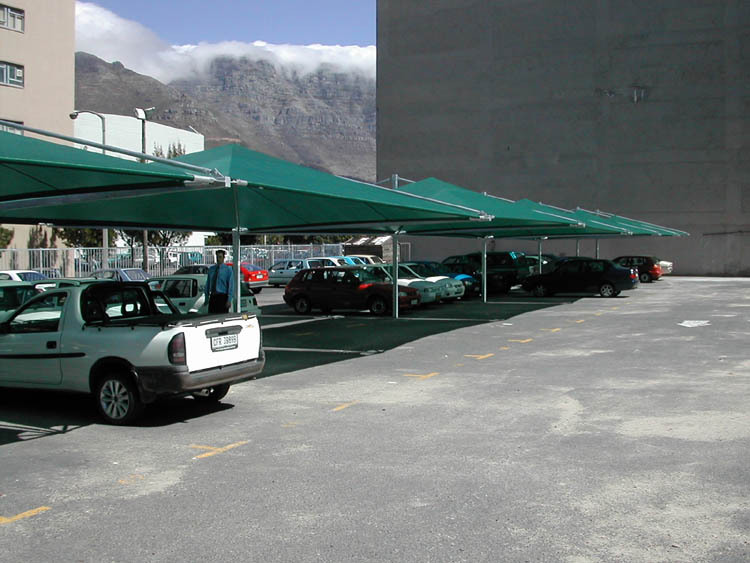 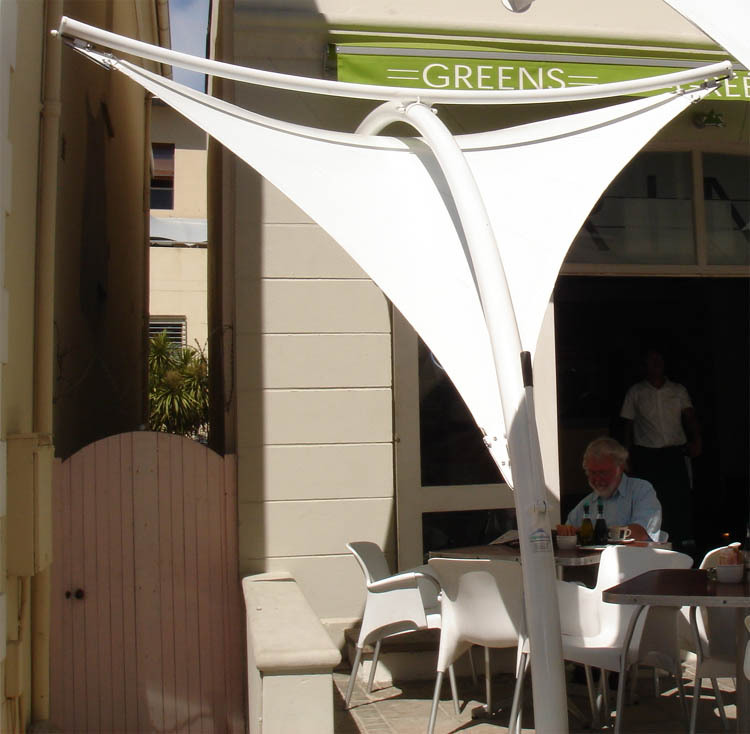 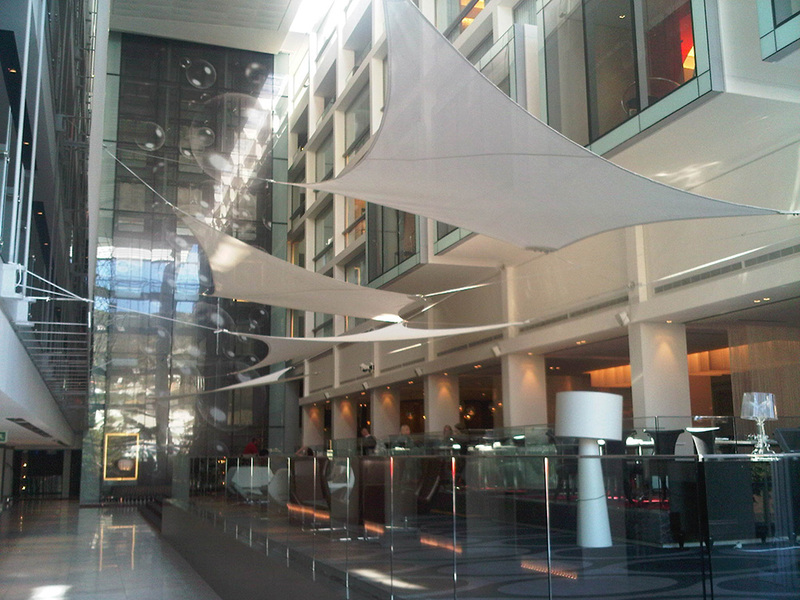 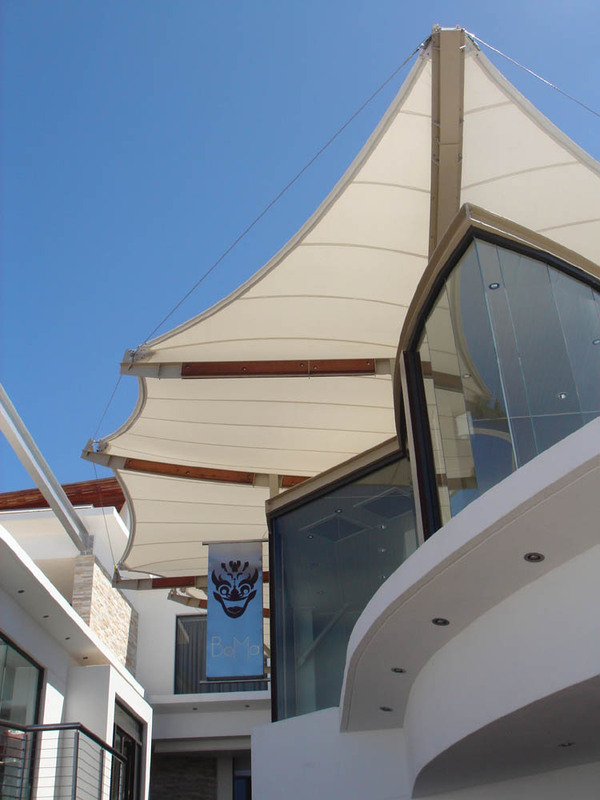 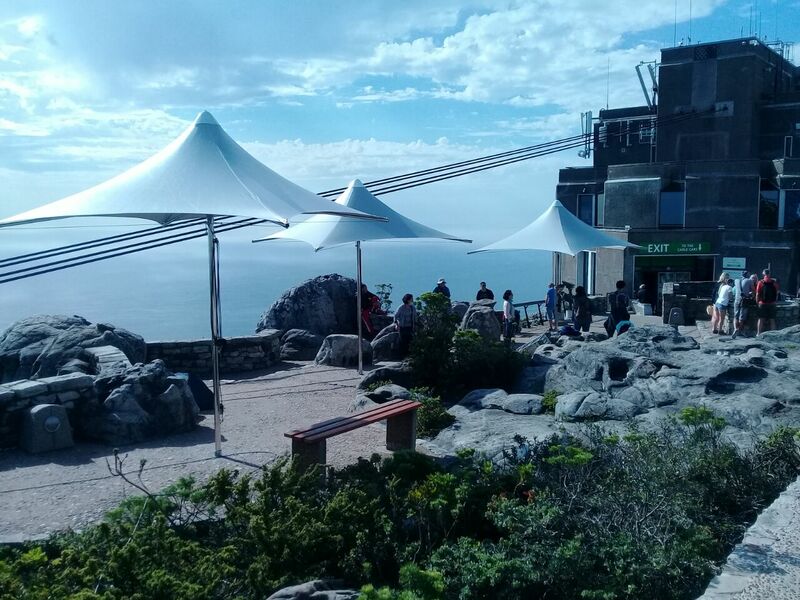 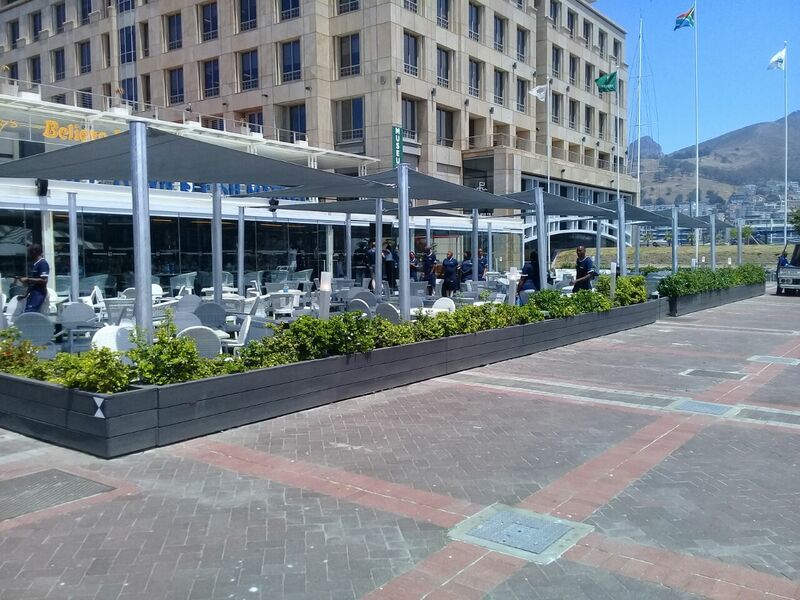 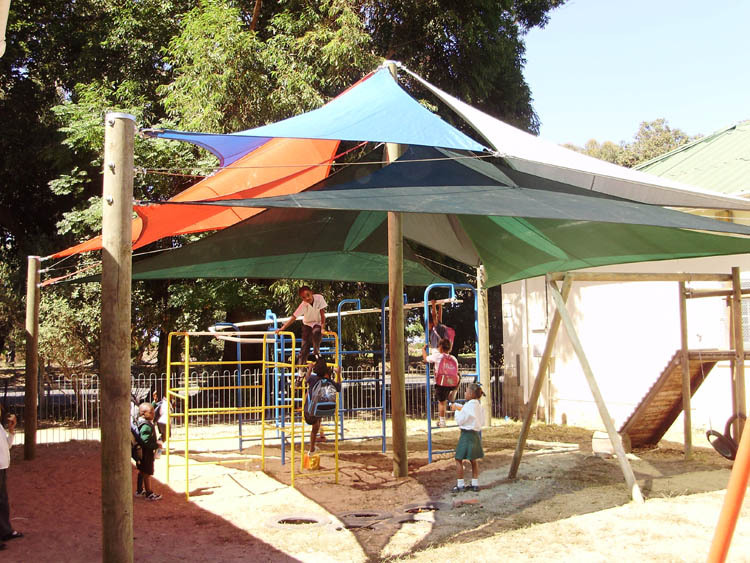 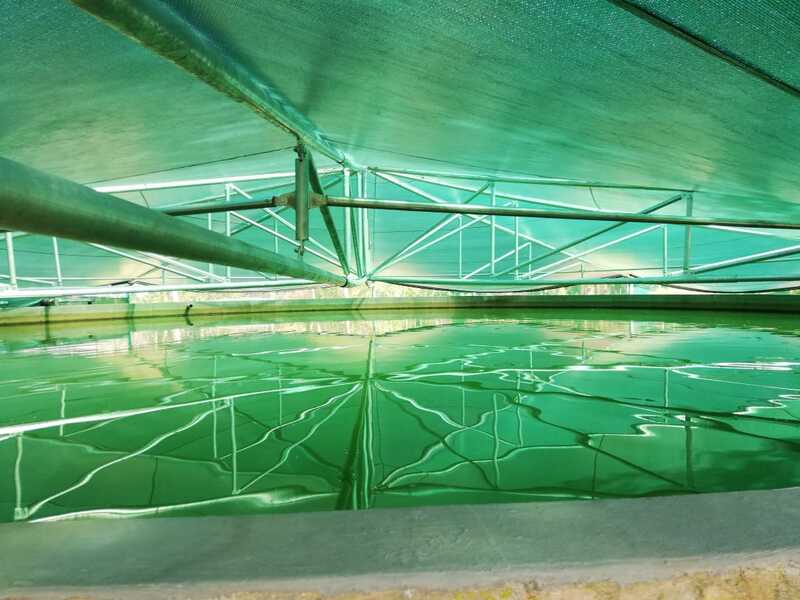 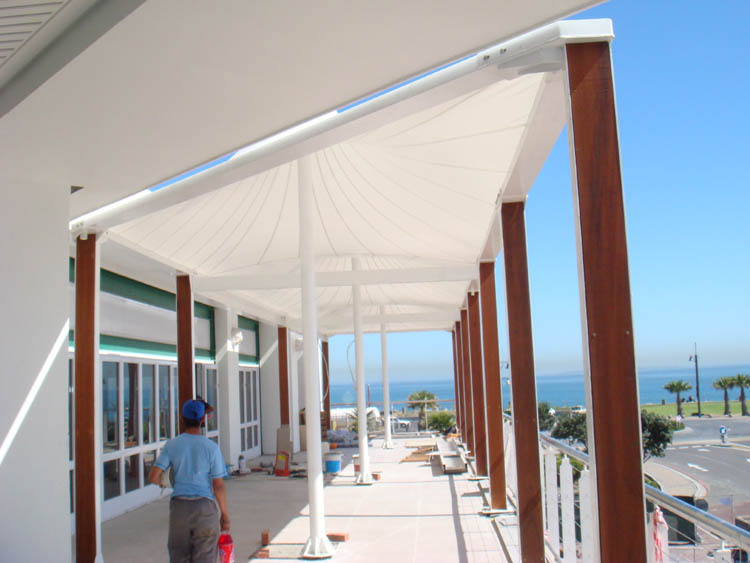 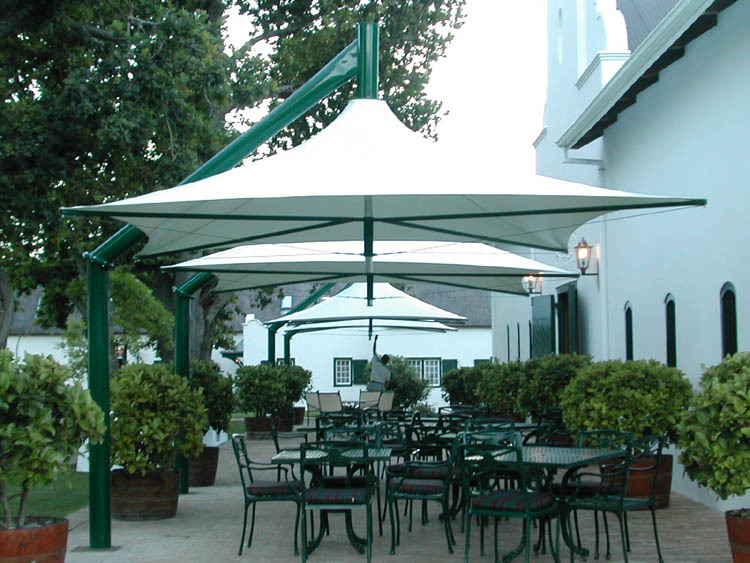 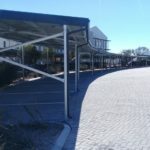 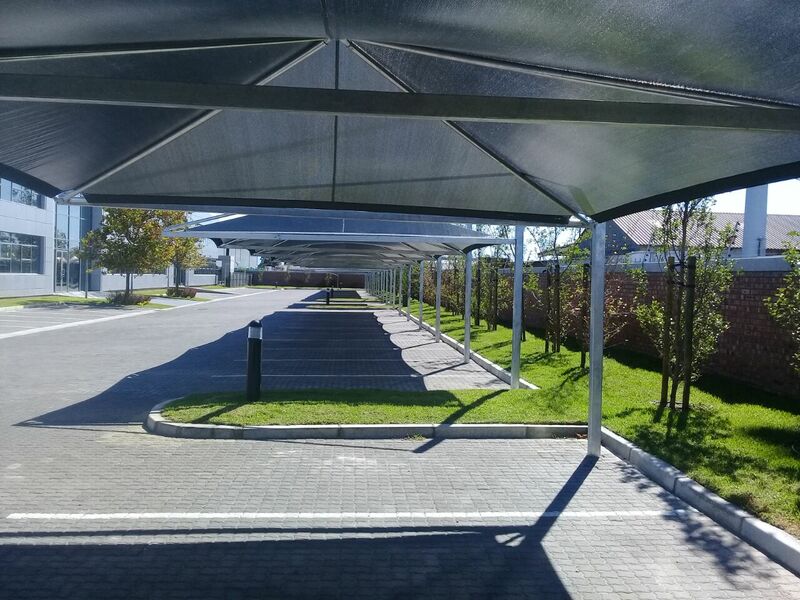 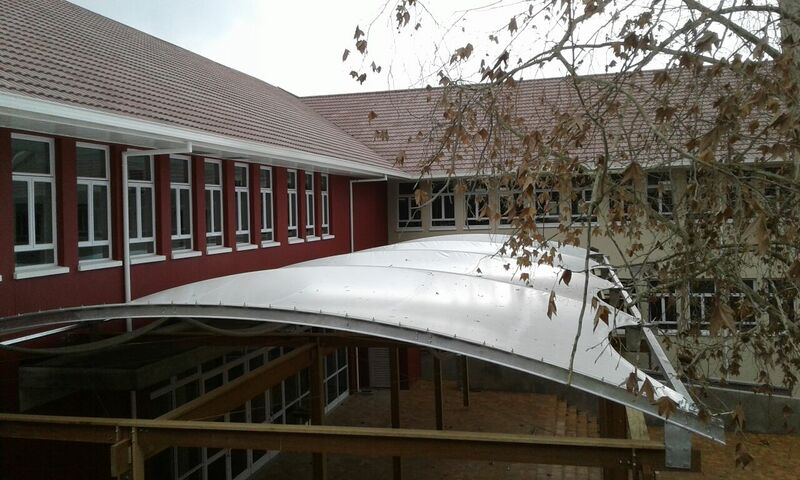 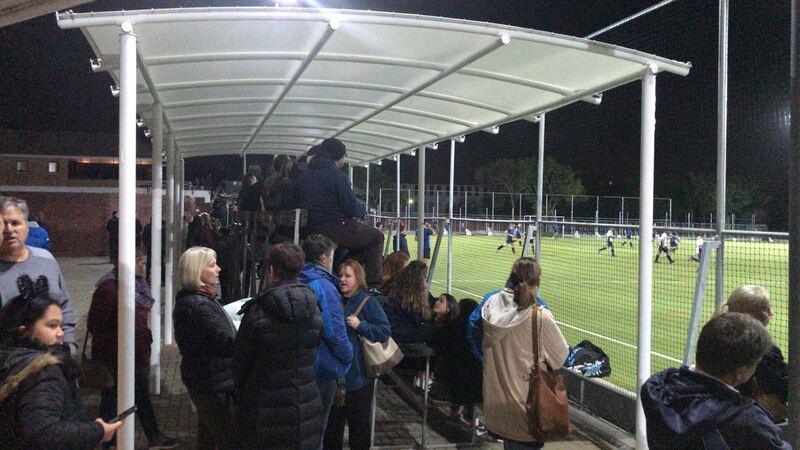 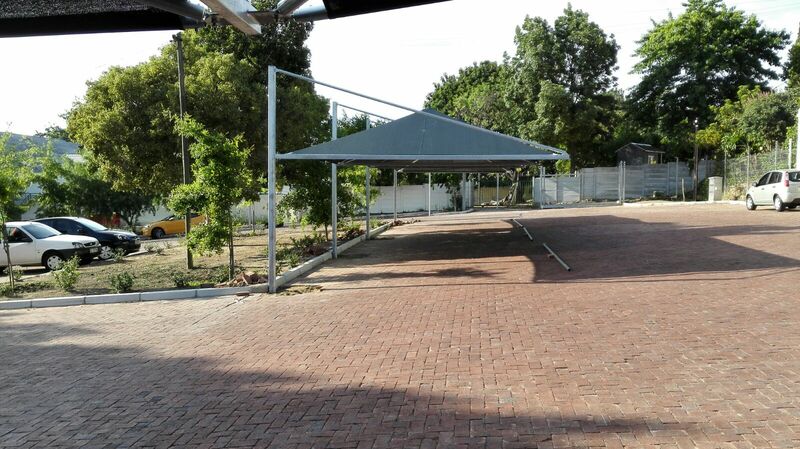 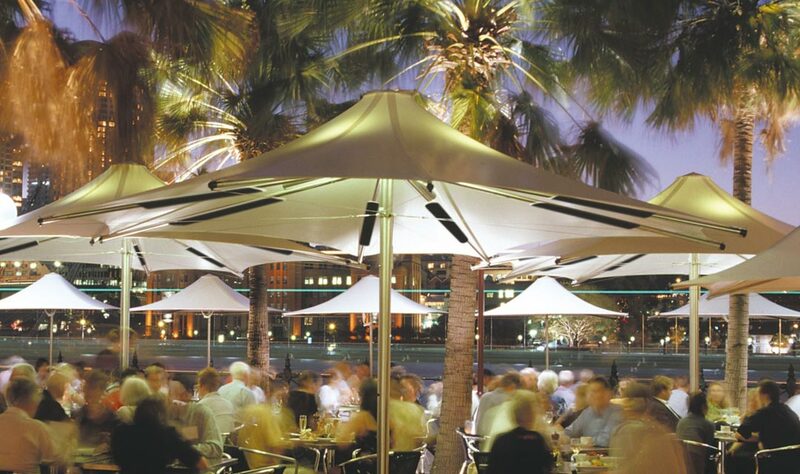 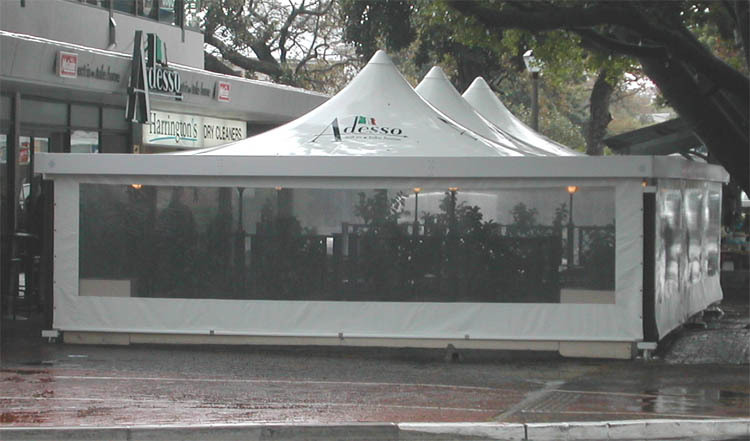 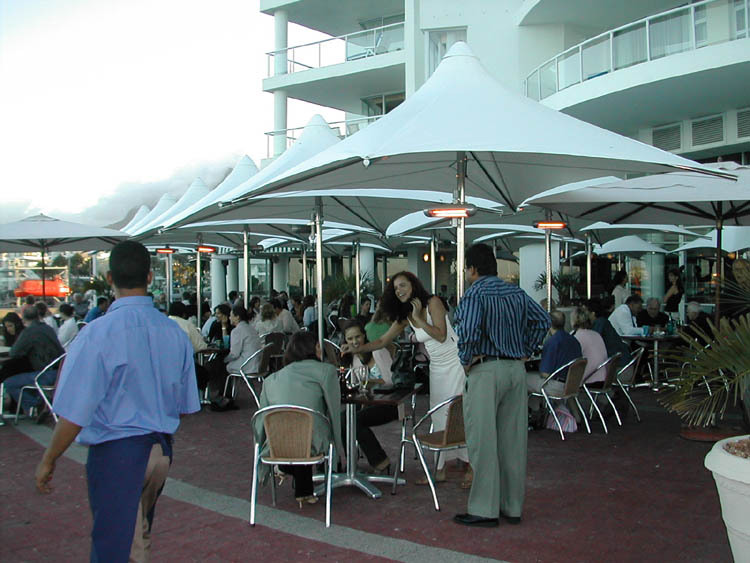 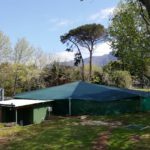 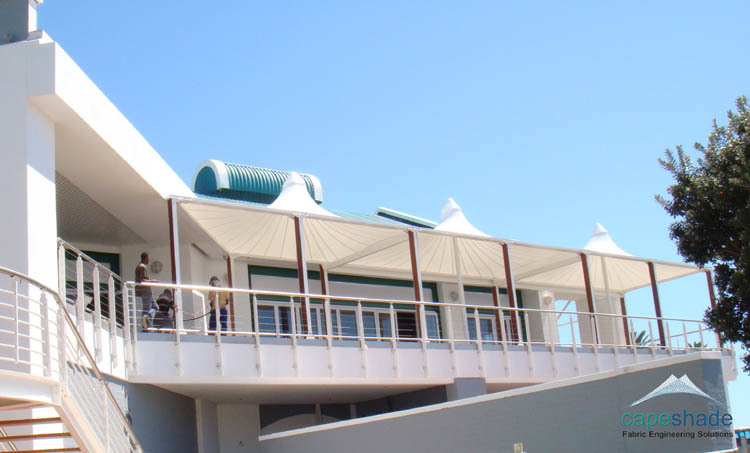 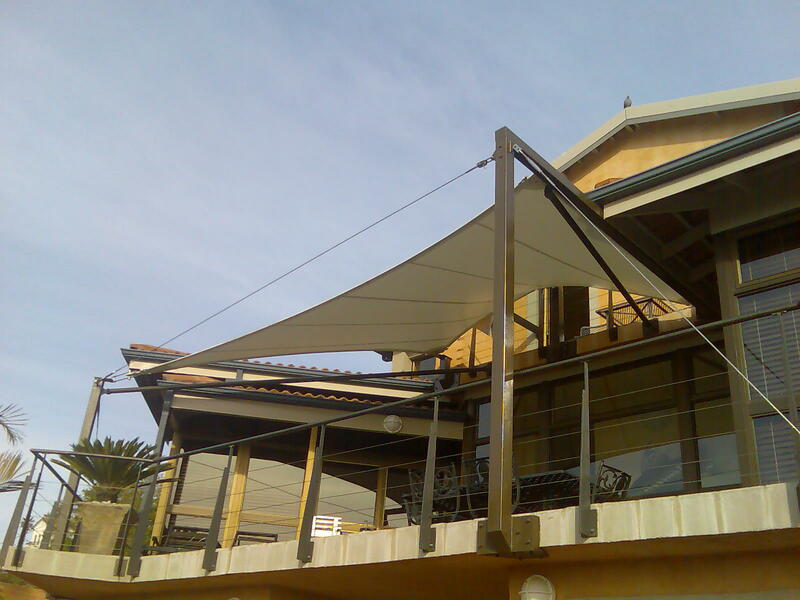 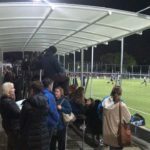 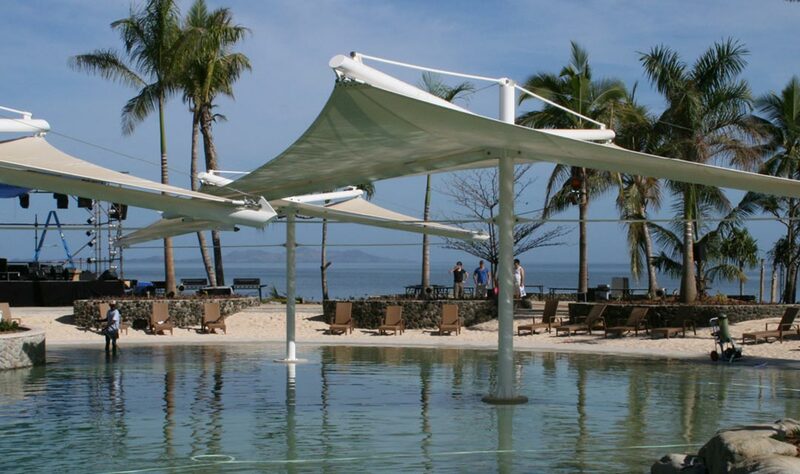 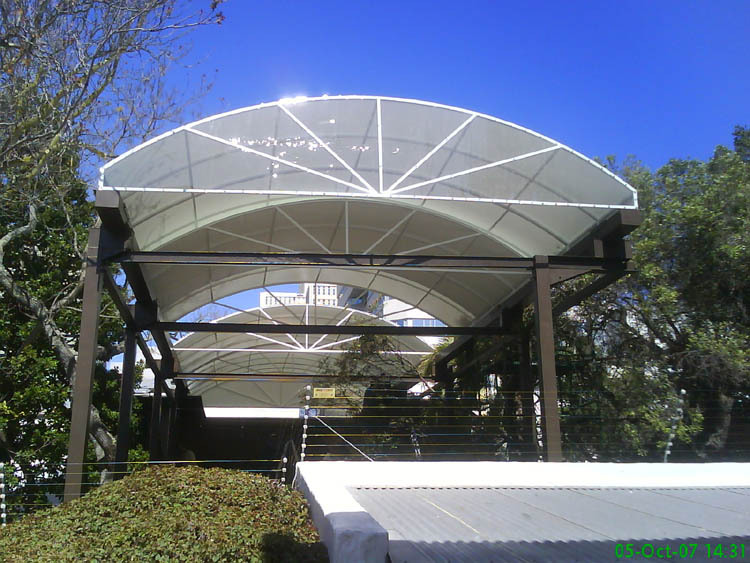 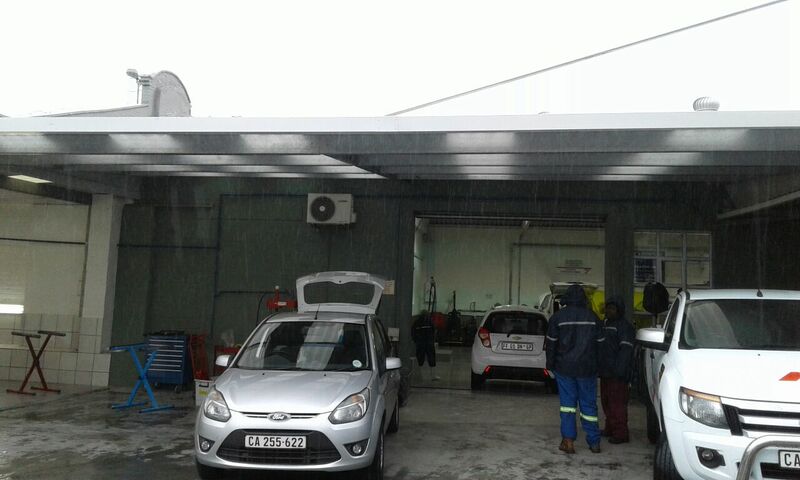 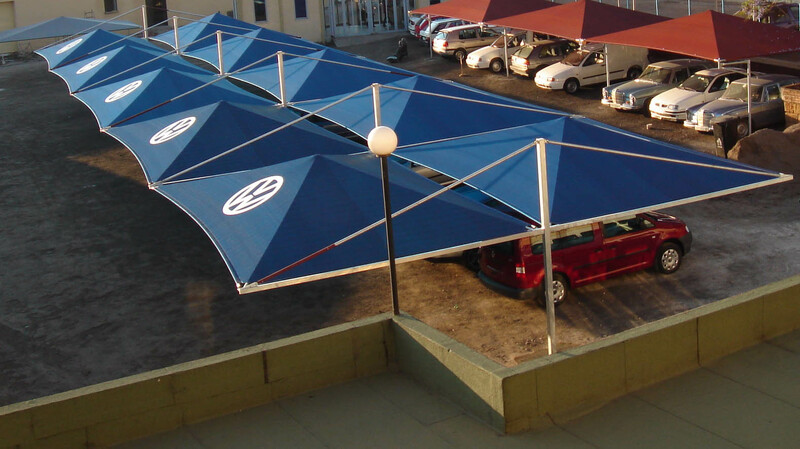 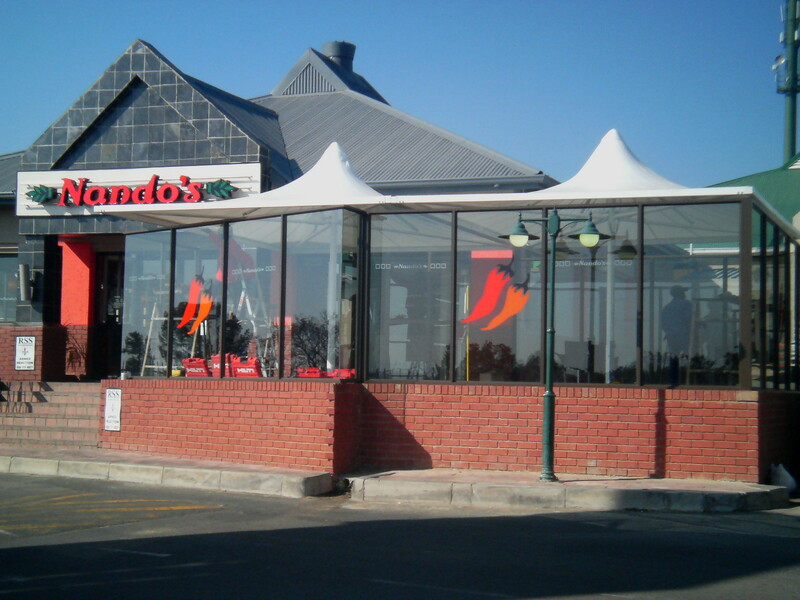 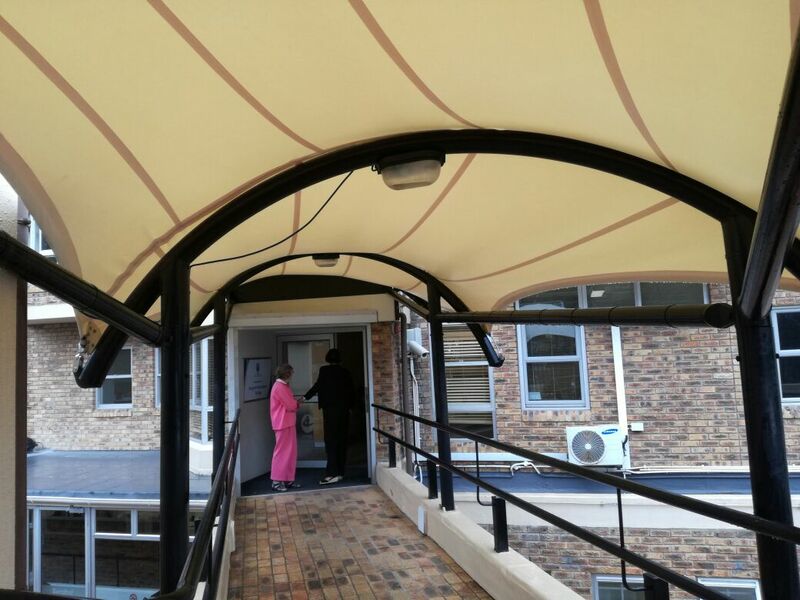 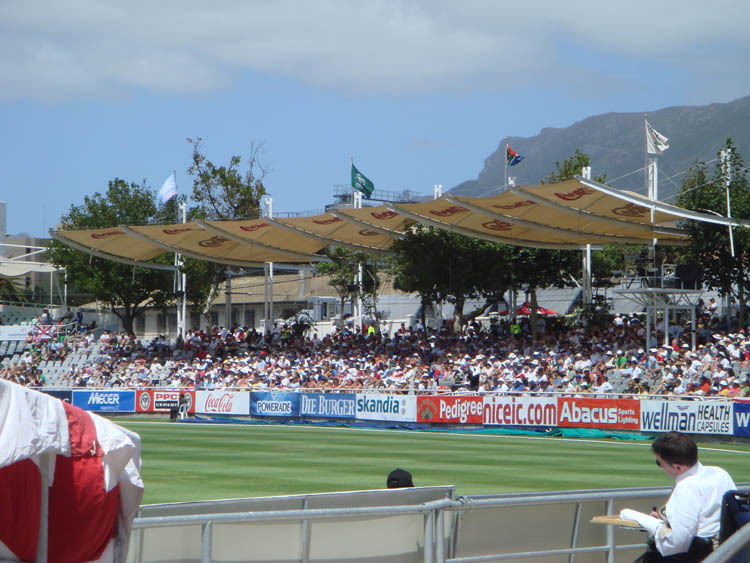 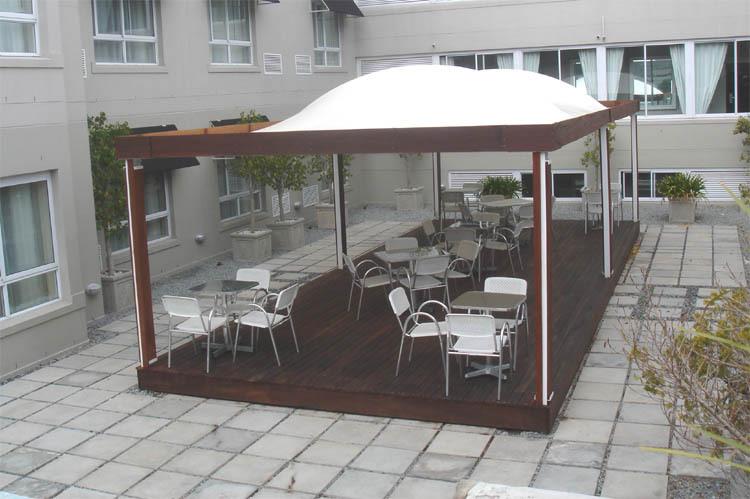 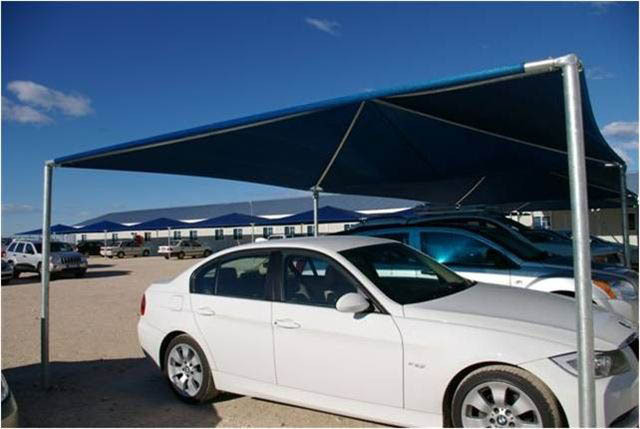 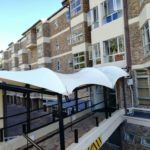 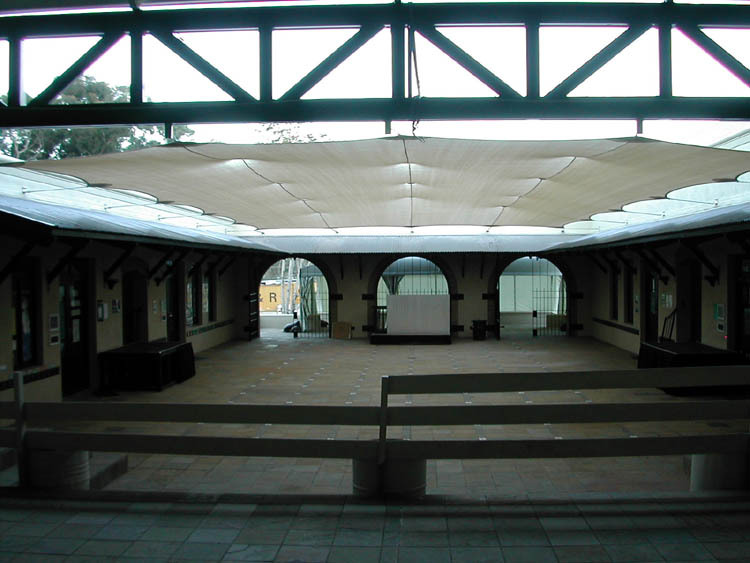 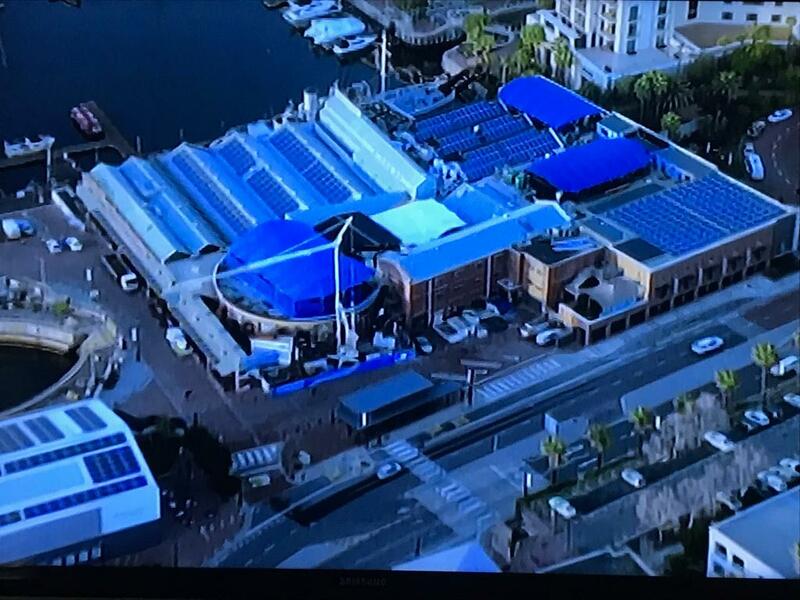 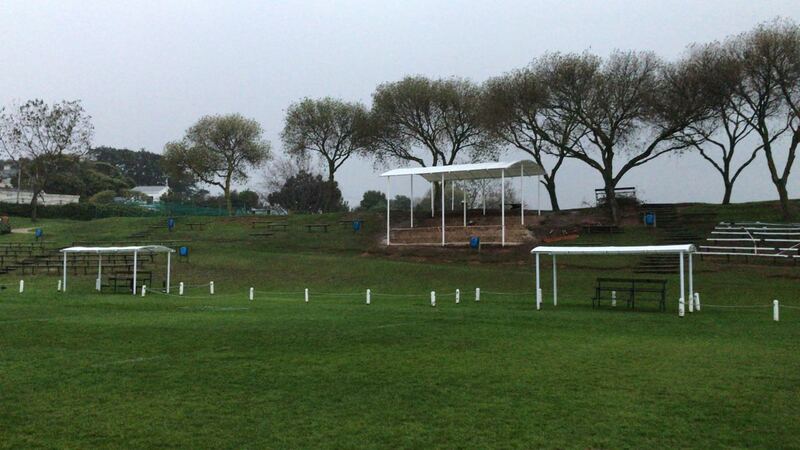 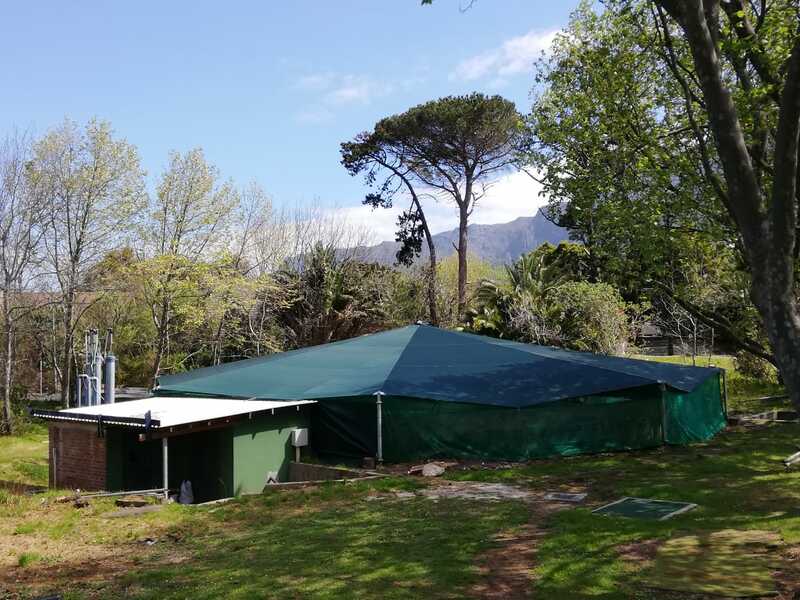 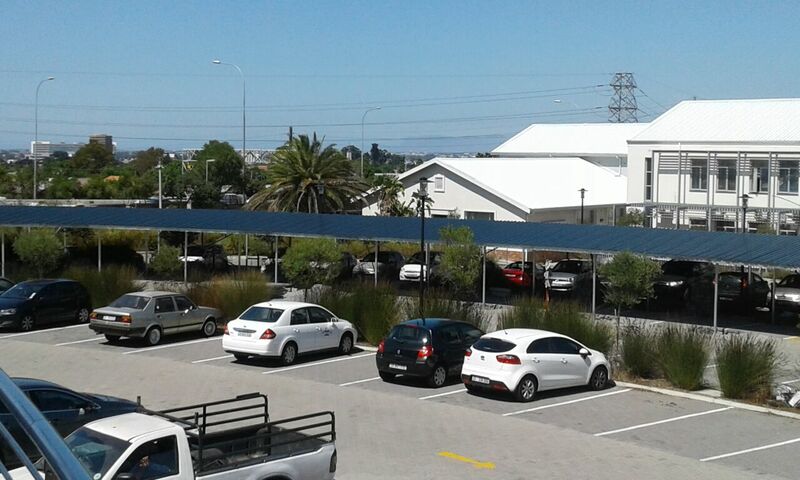 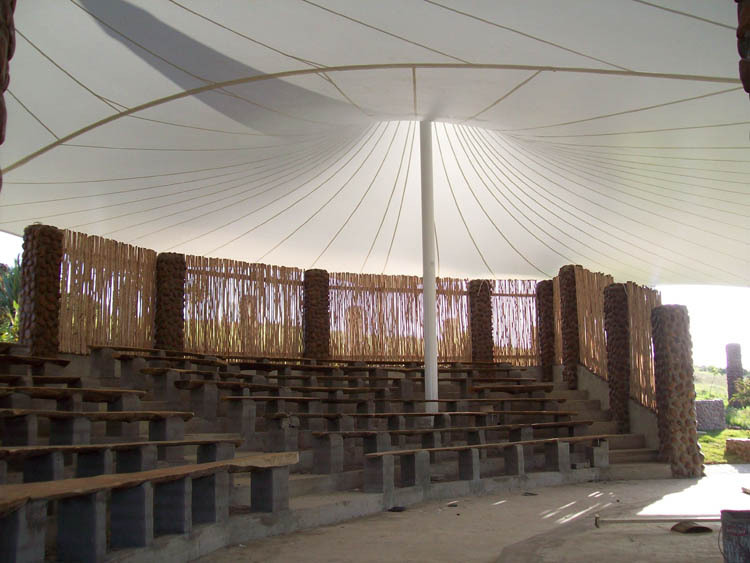 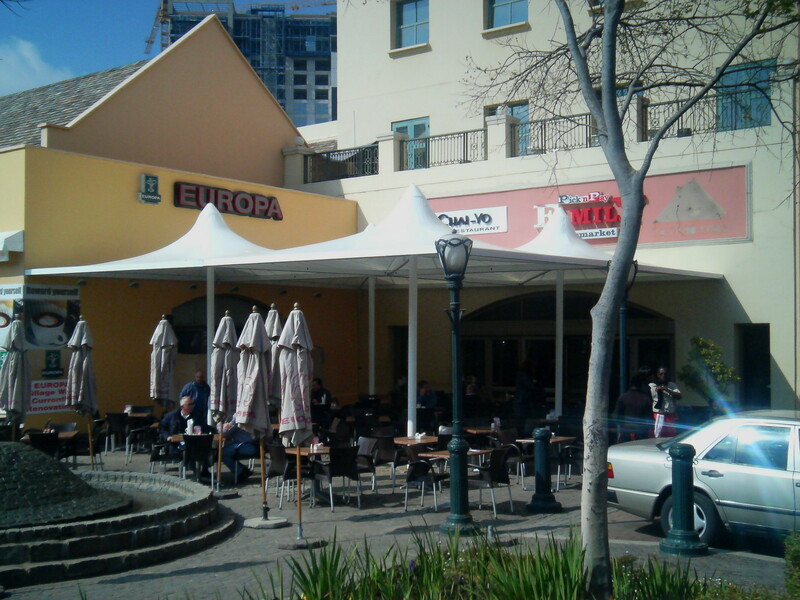 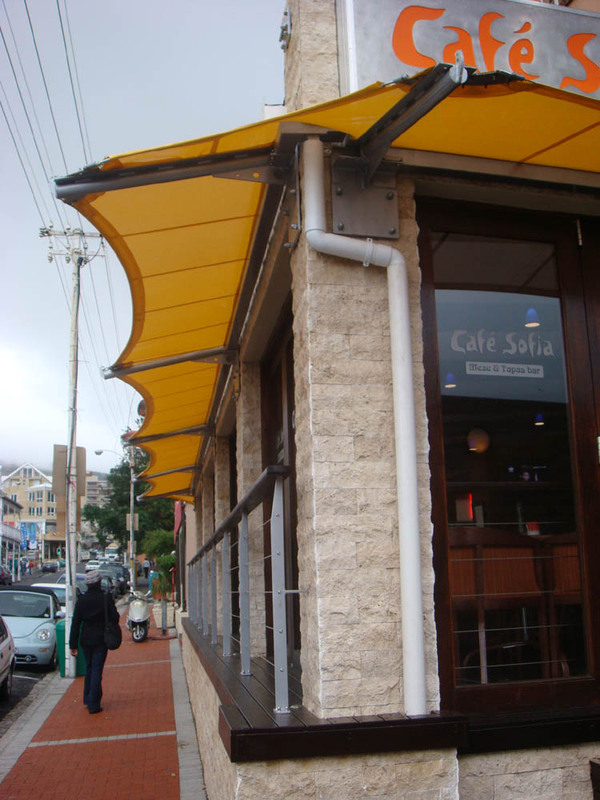 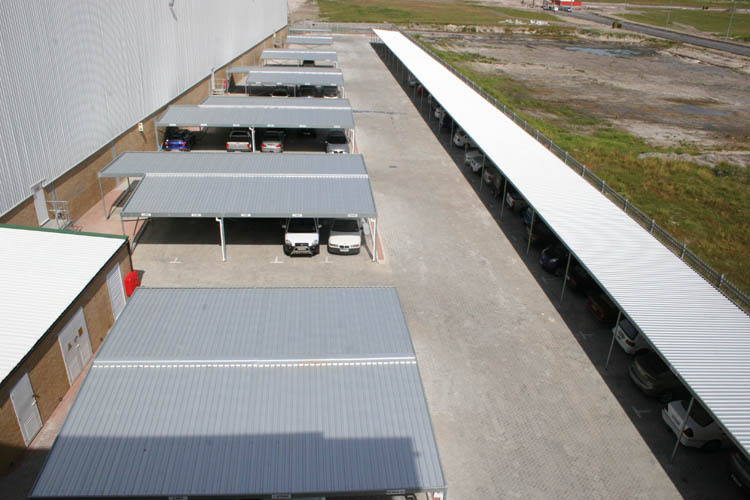 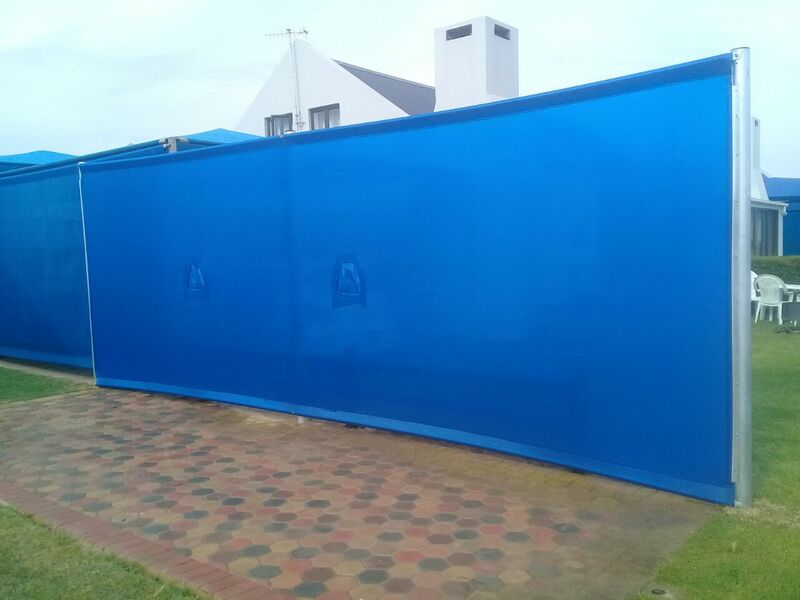 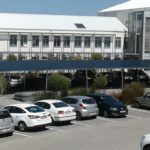 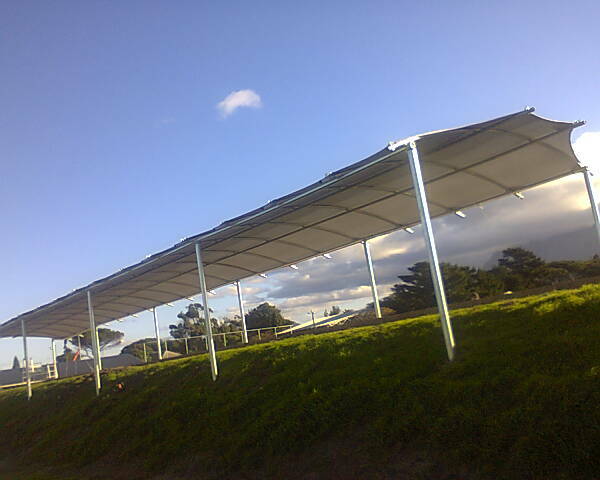 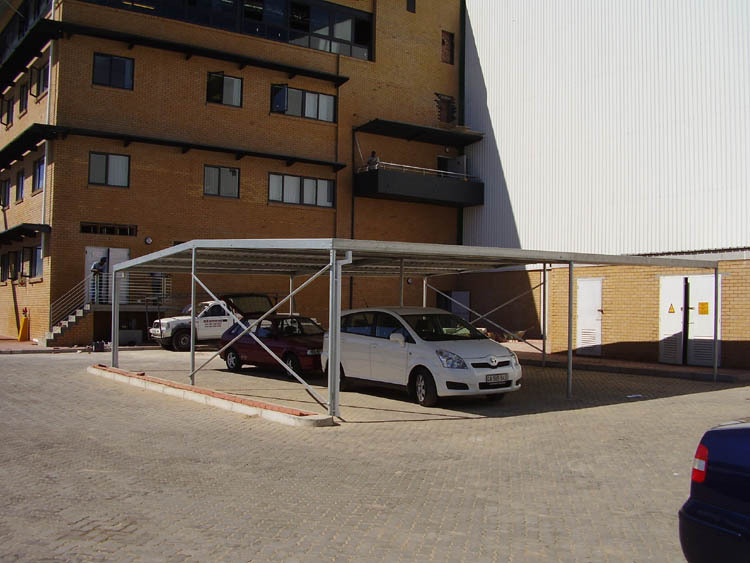 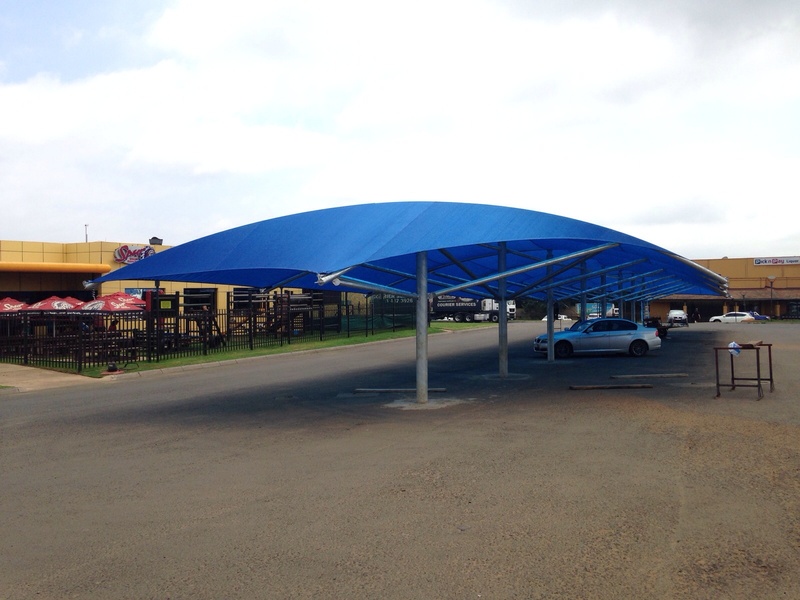 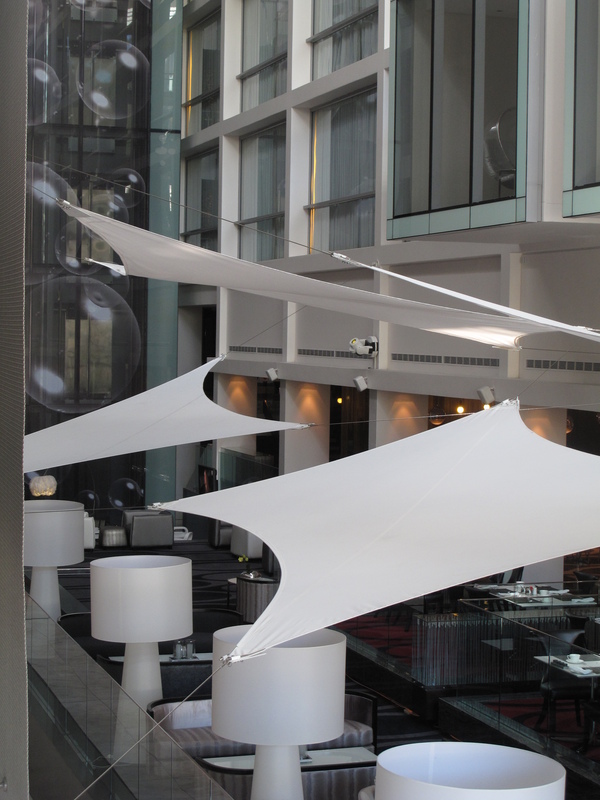 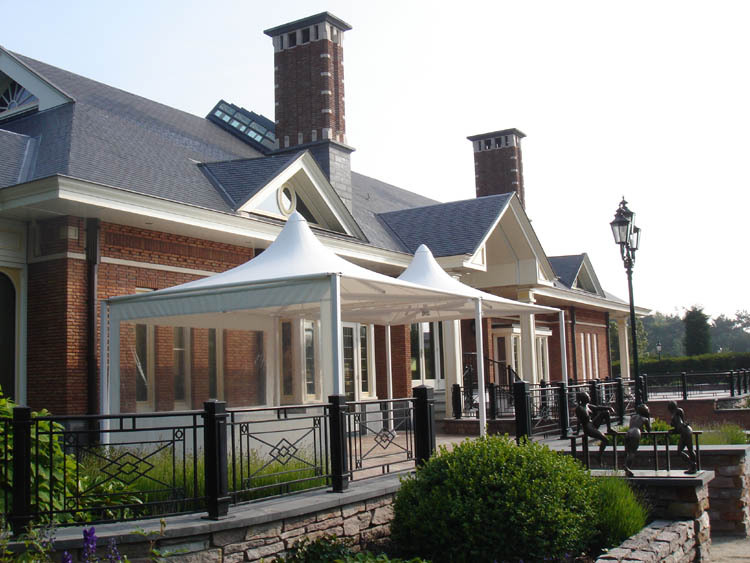 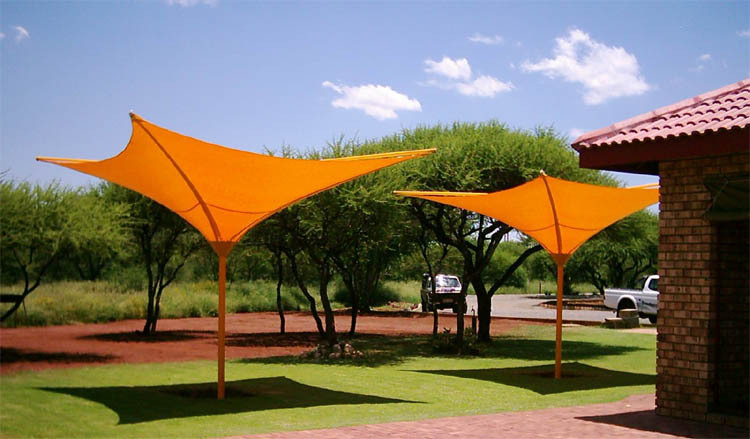 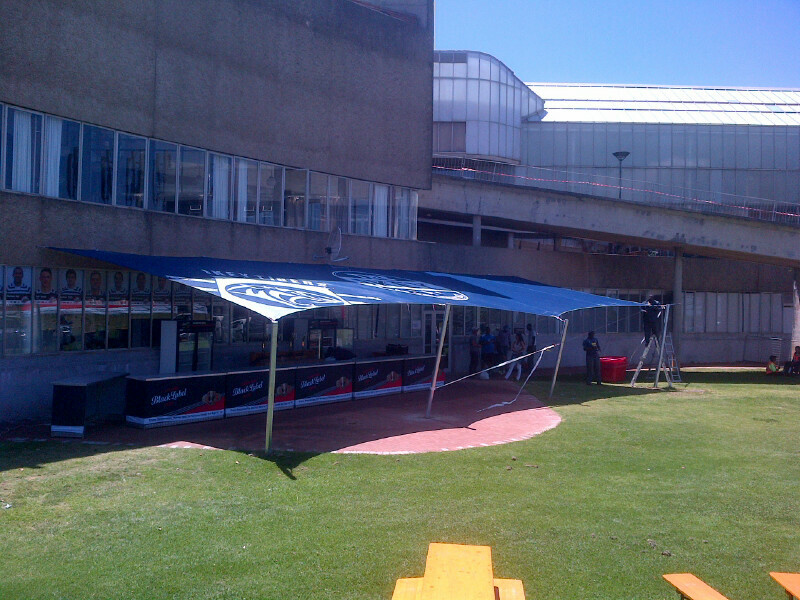 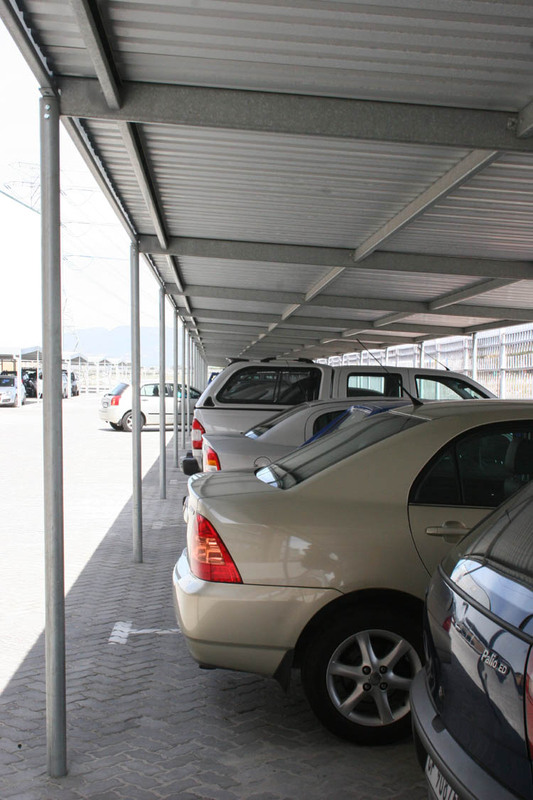 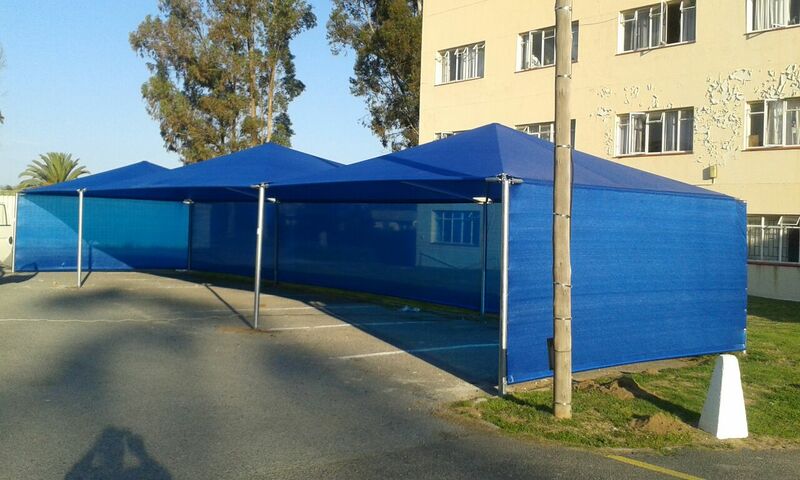 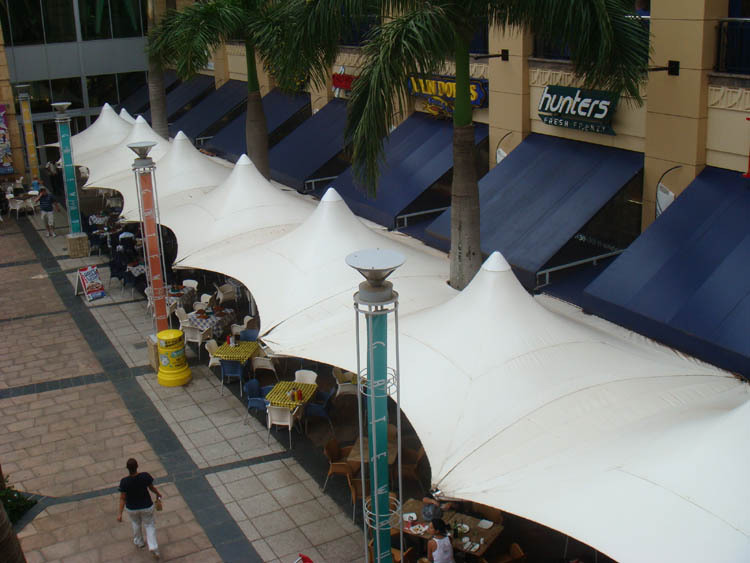 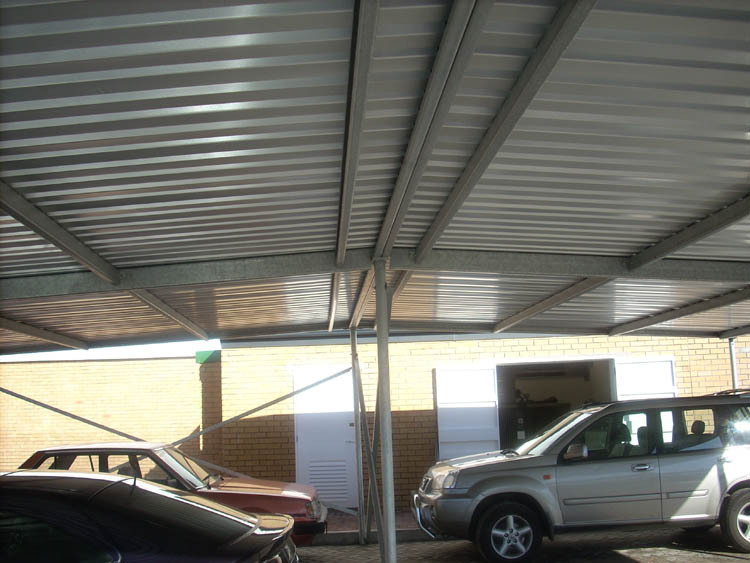 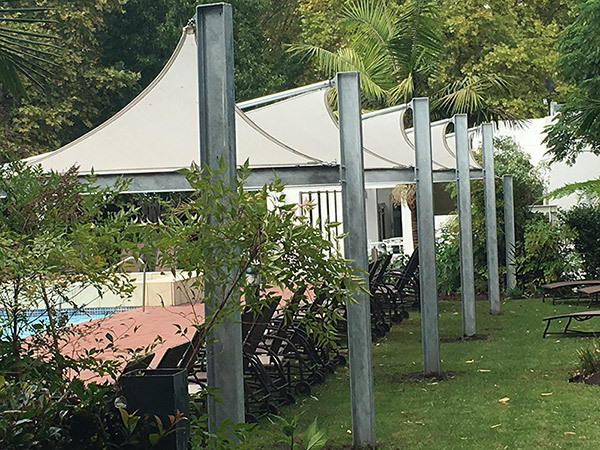 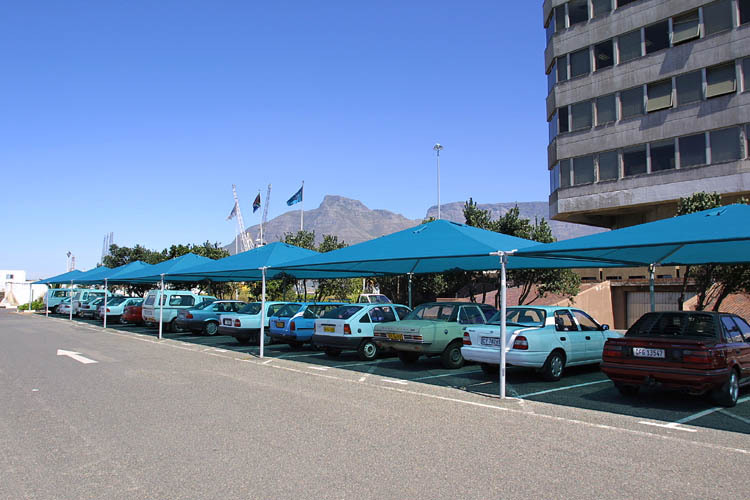 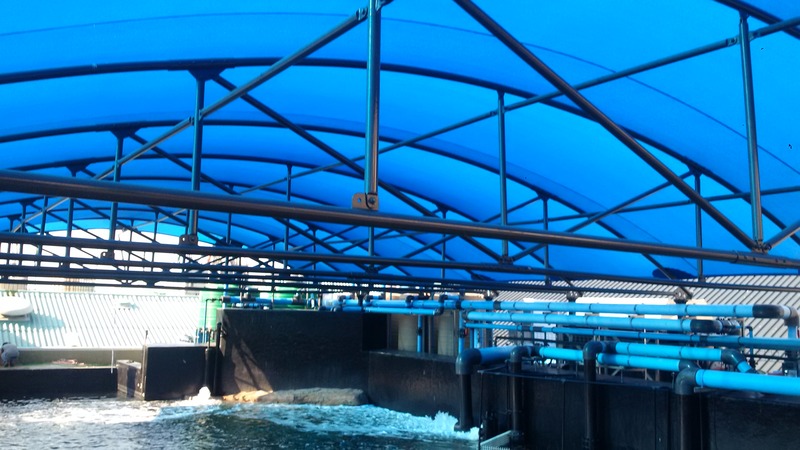 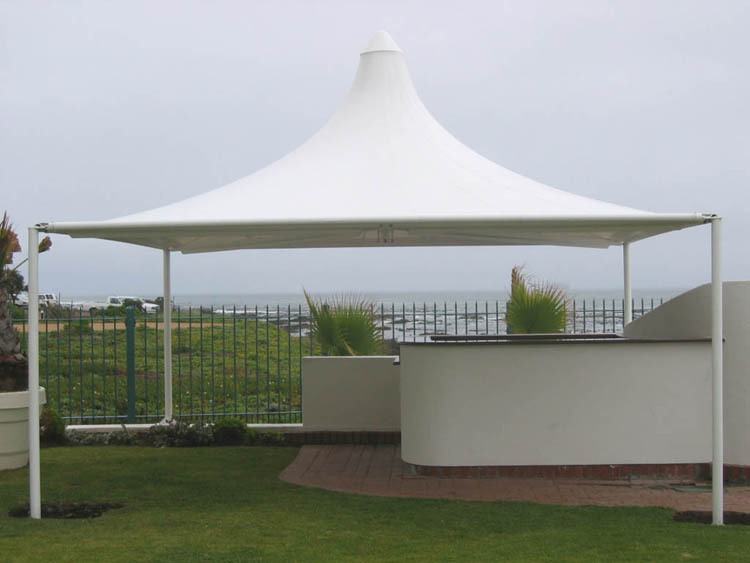 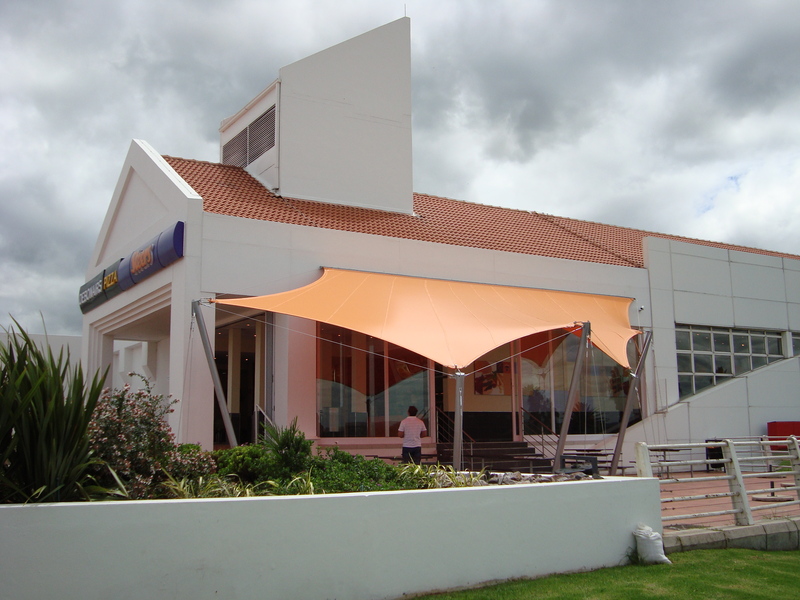 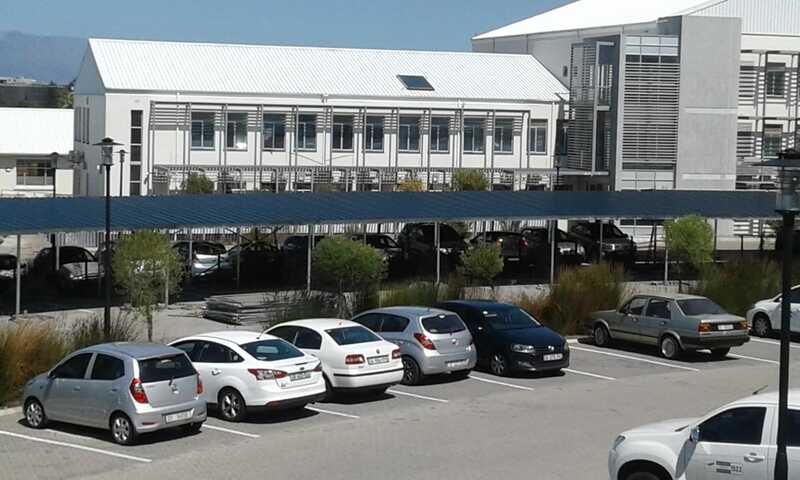 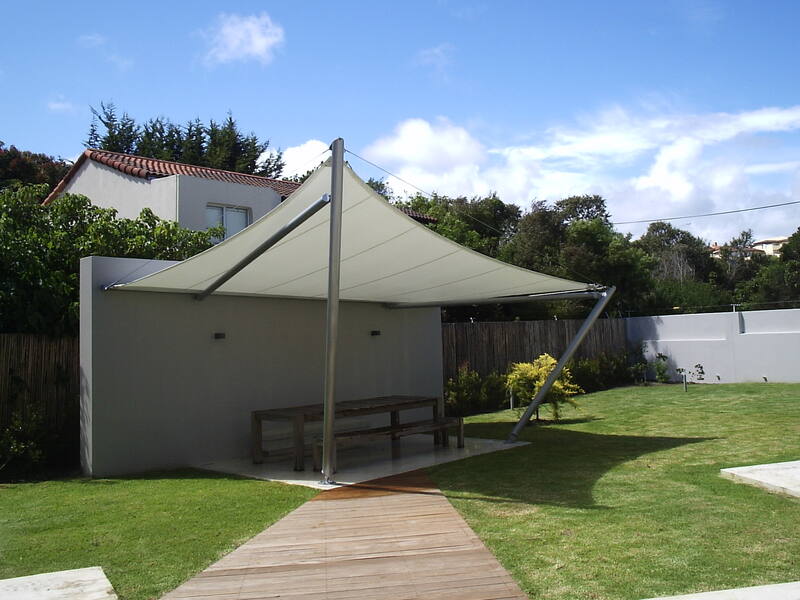 All our structures use mild or stainless steel and are covered with patterned architectural PVC. 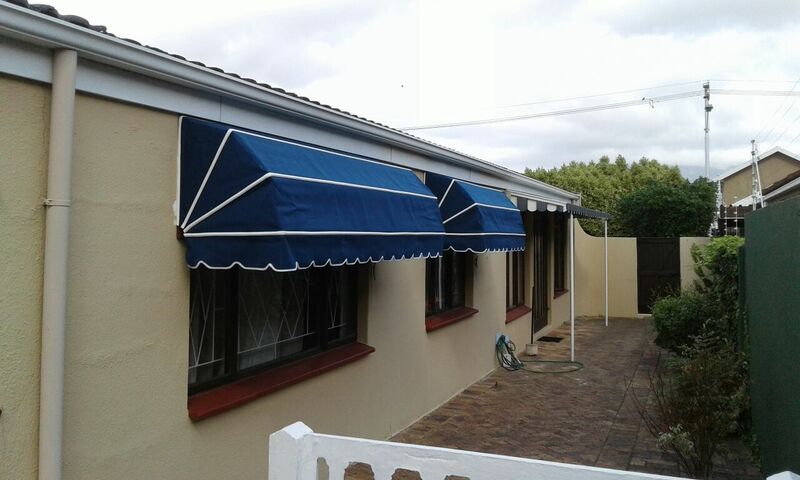 Frame mild steel, galvanised coated to colour. 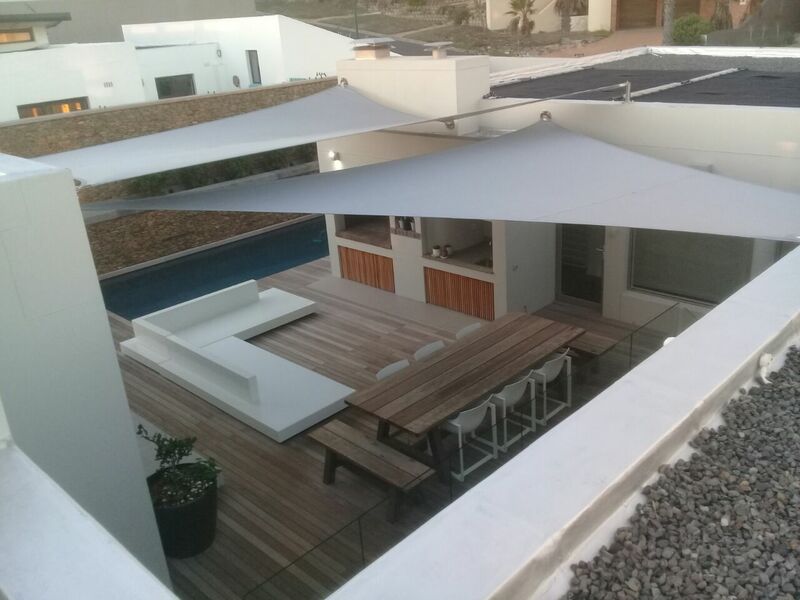 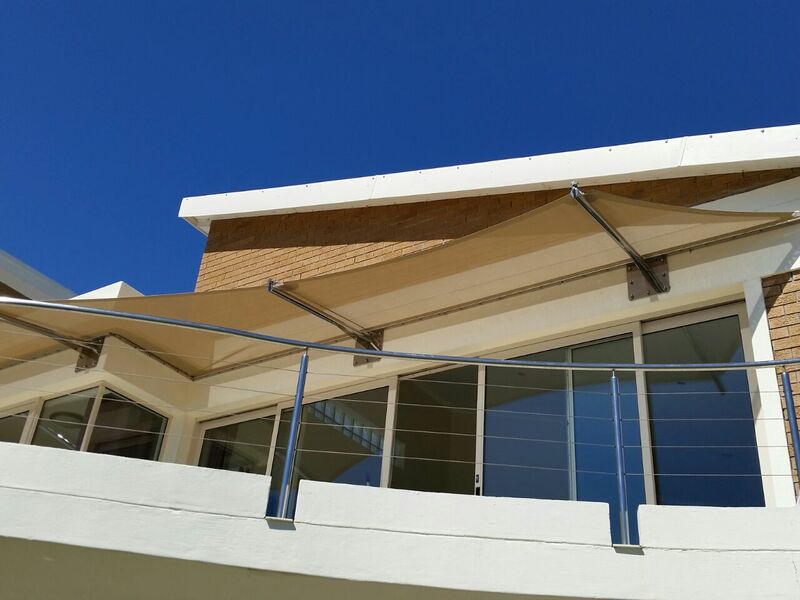 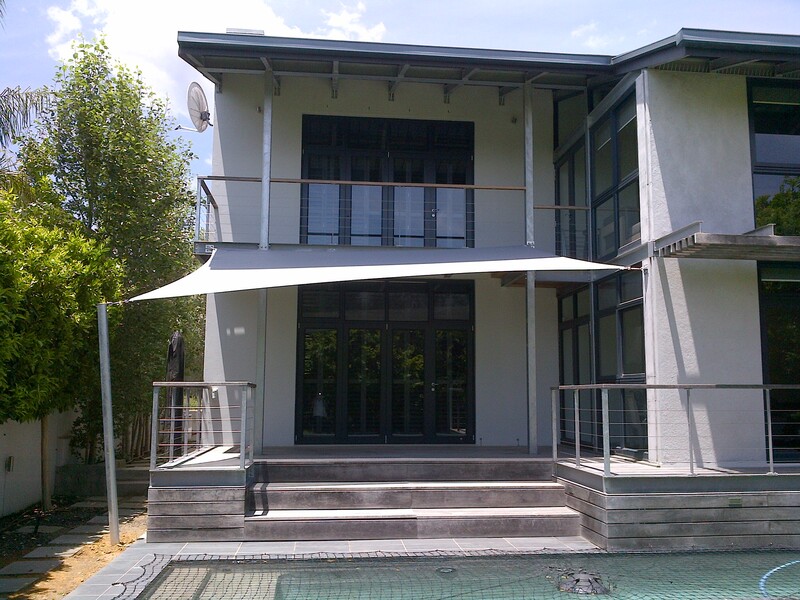 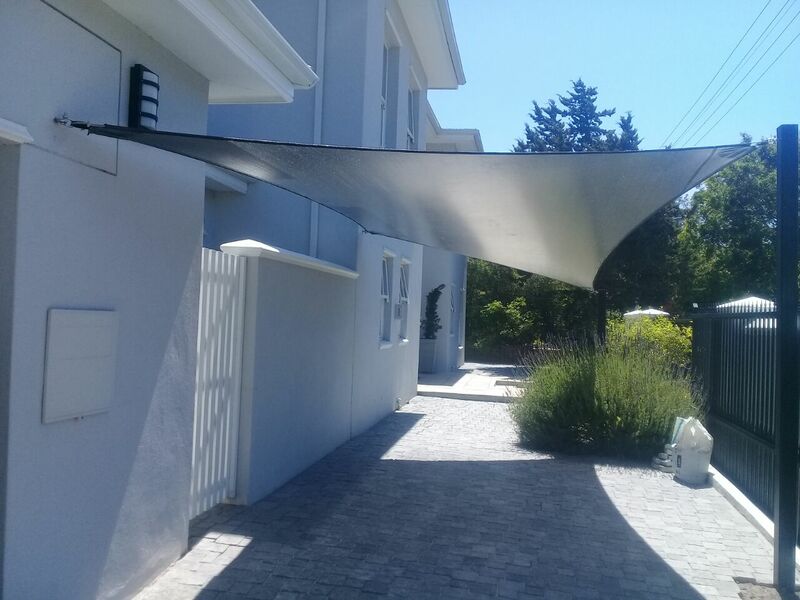 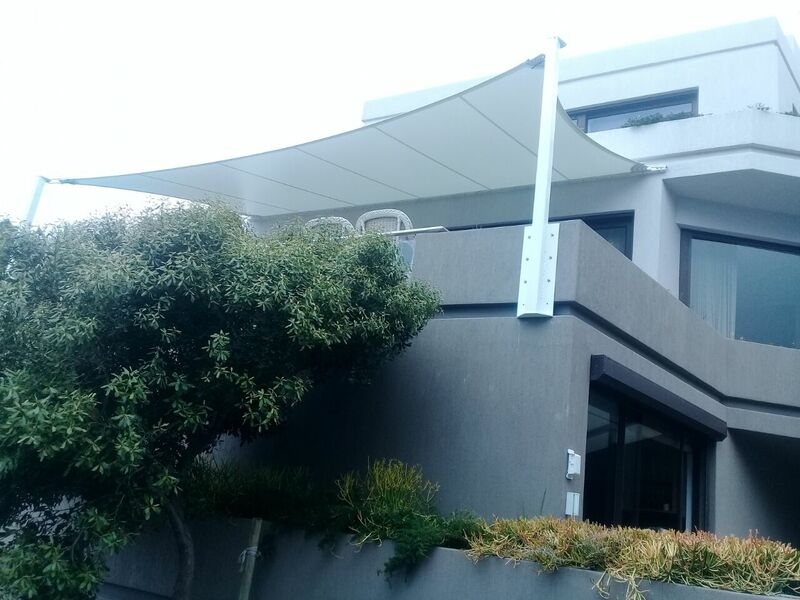 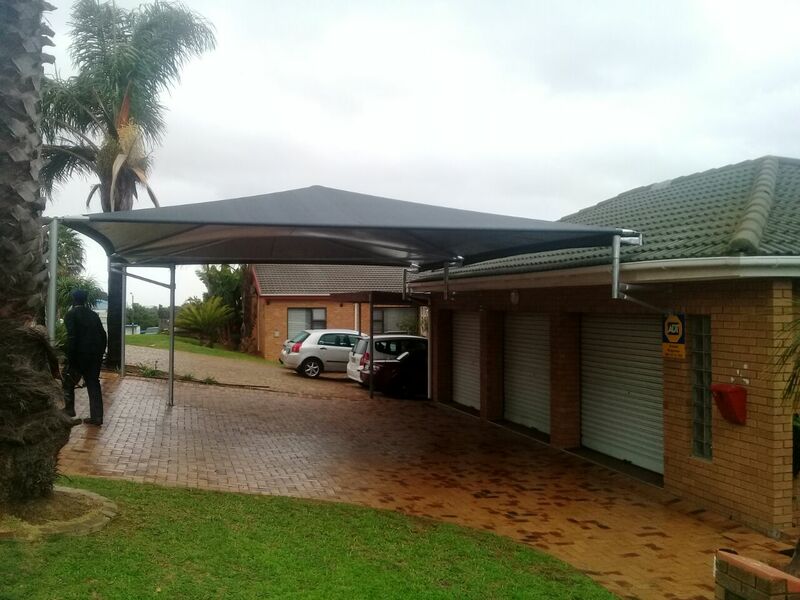 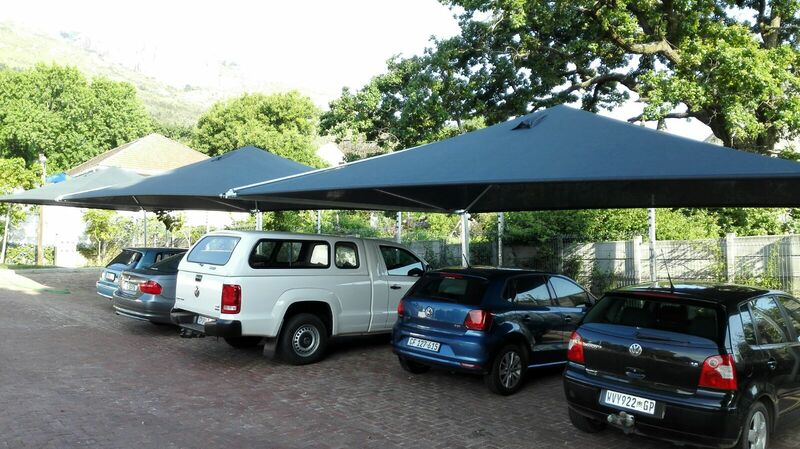 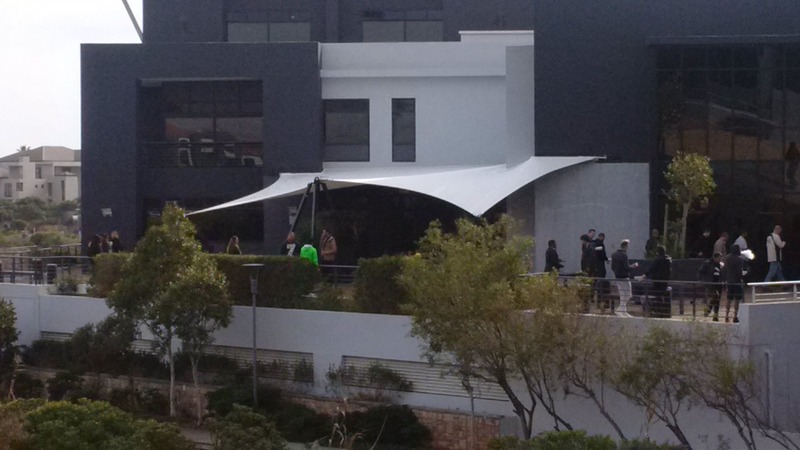 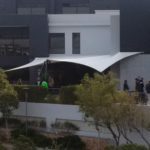 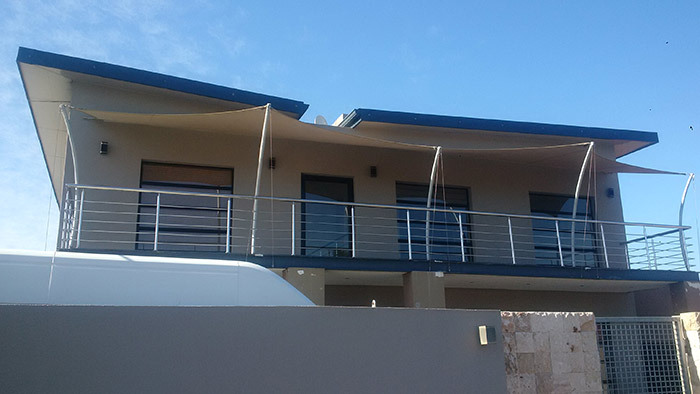 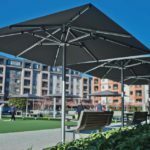 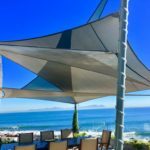 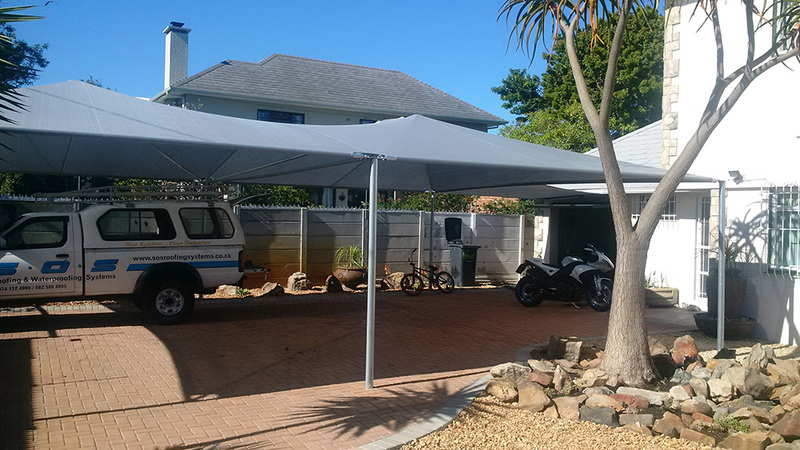 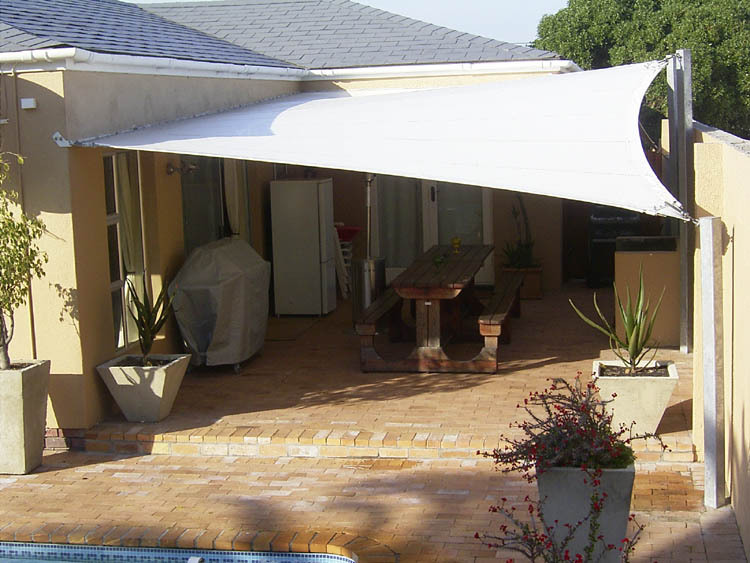 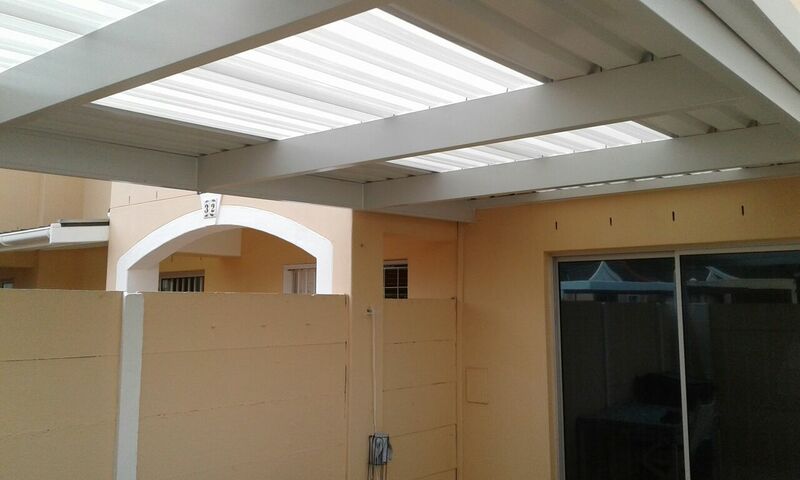 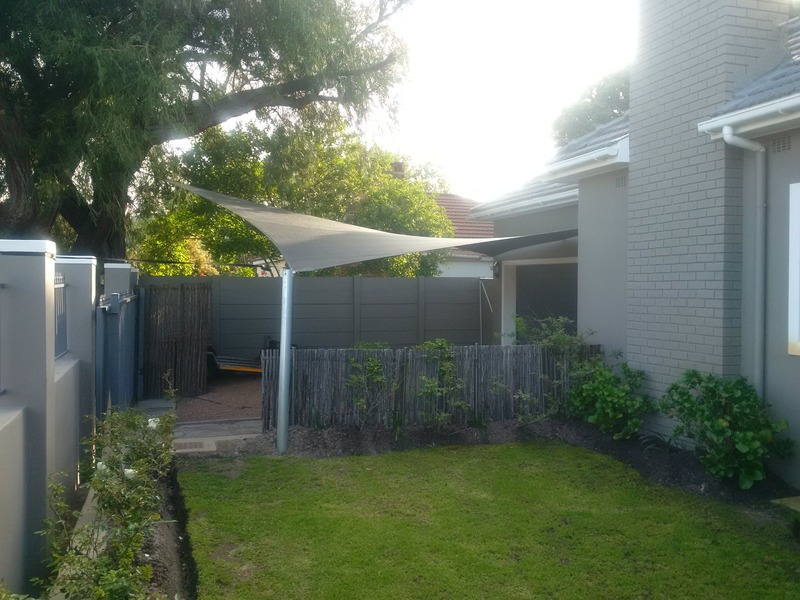 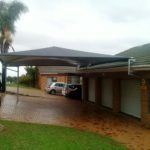 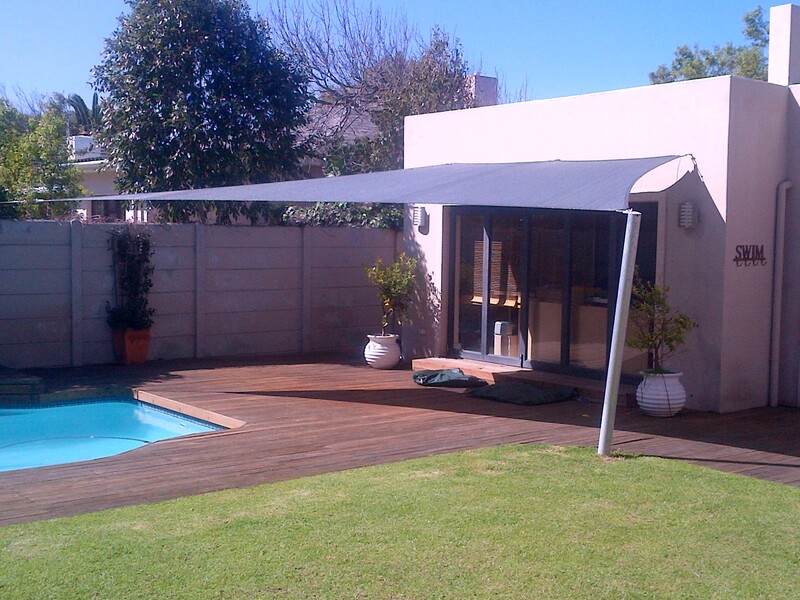 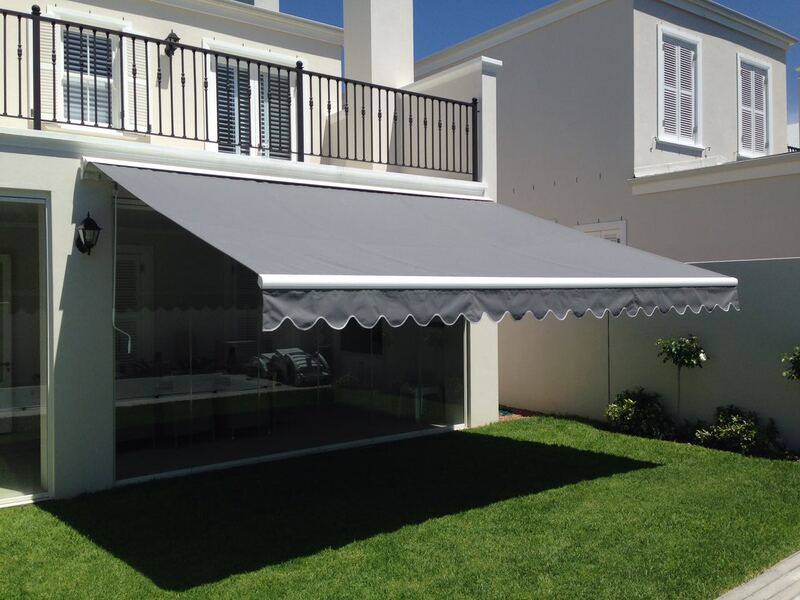 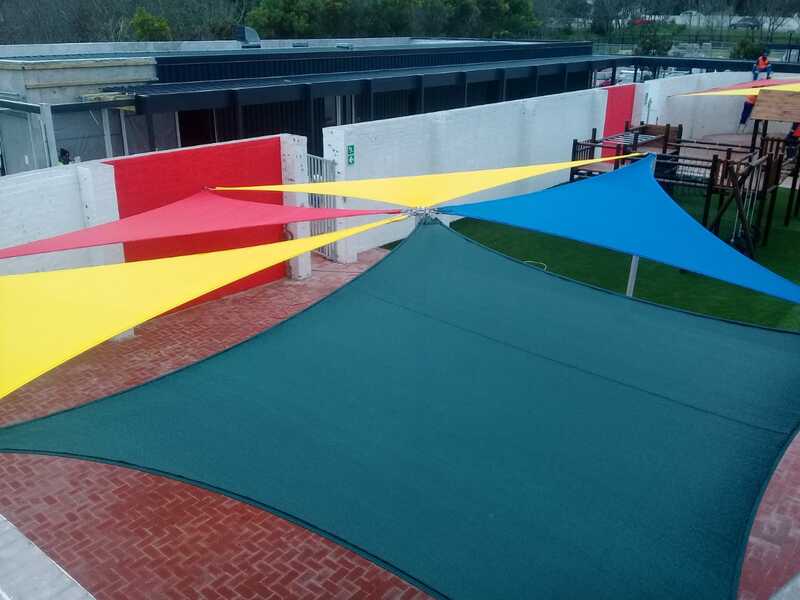 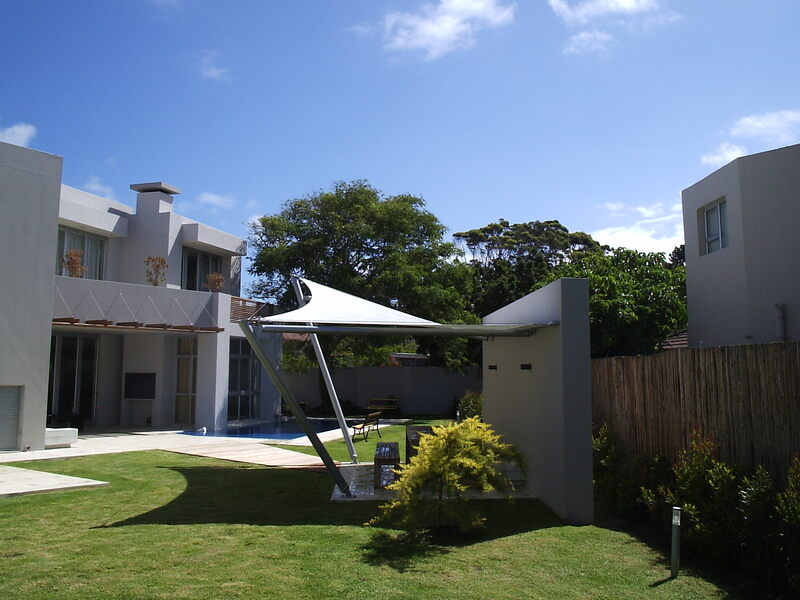 Steel perimeter around the umbrella to allow for roll up blinds. 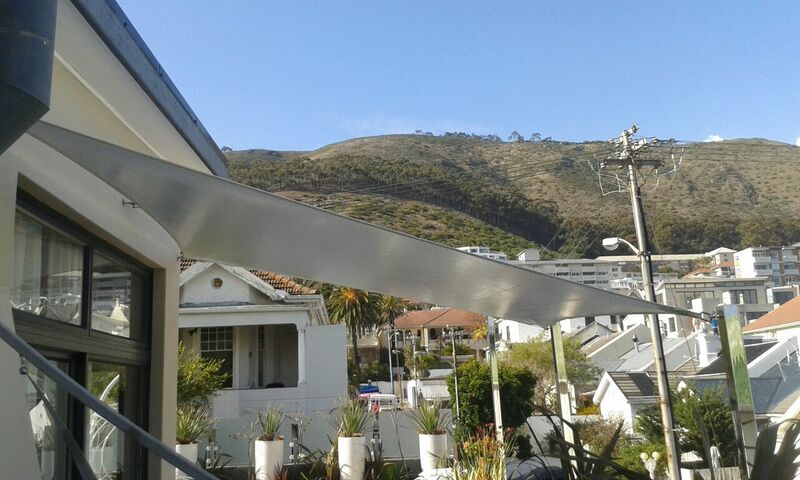 Wind rating 120 km/h. 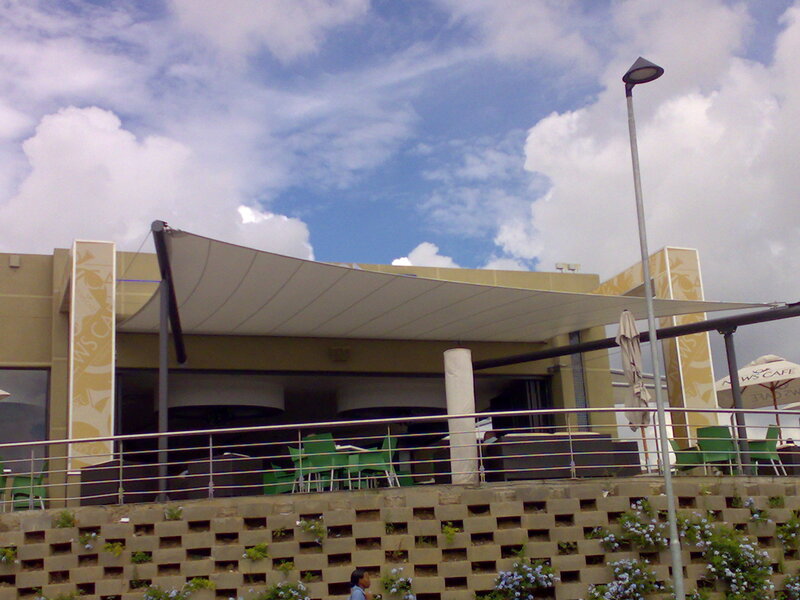 Centre post.